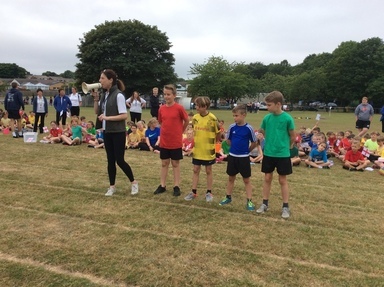 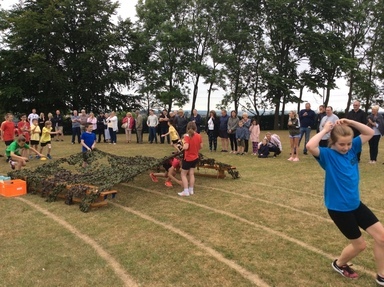 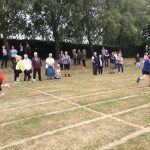 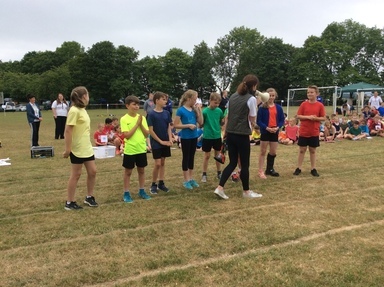 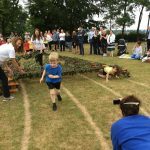 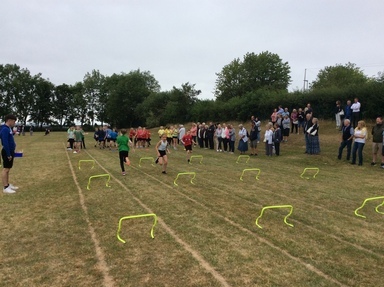 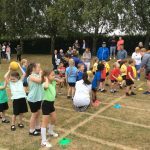 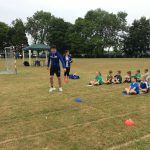 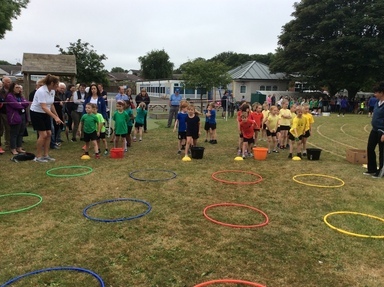 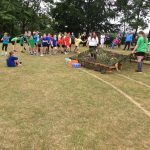 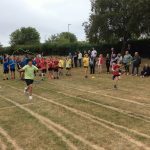 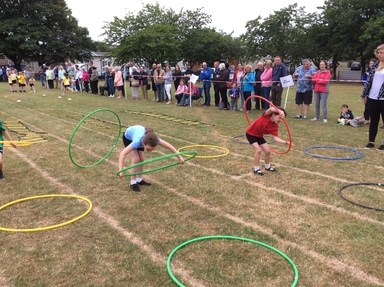 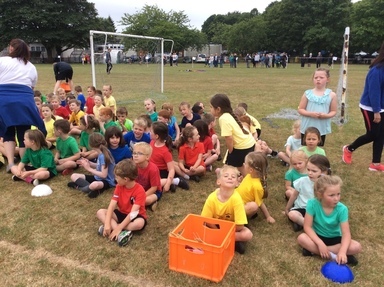 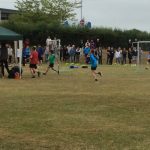 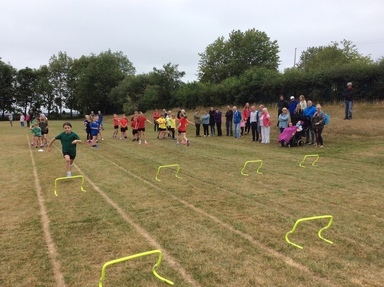 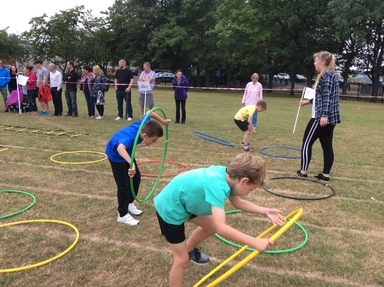 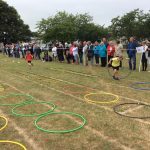 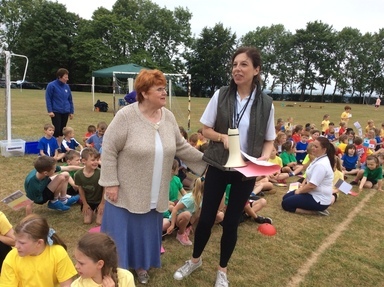 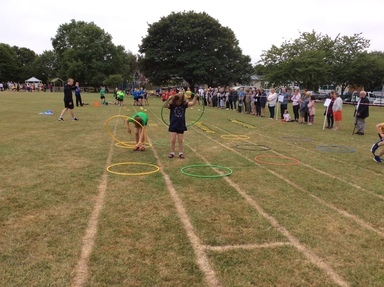 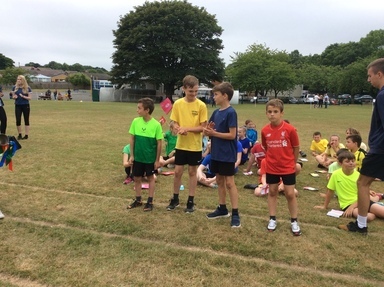 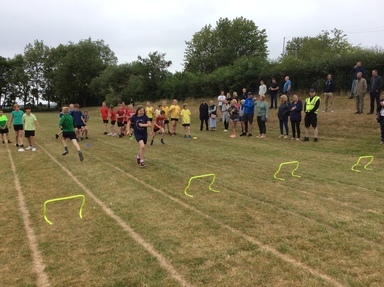 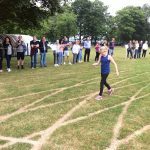 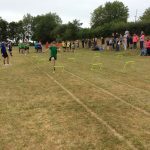 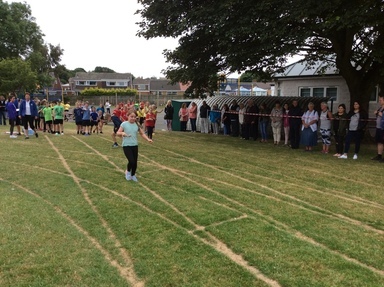 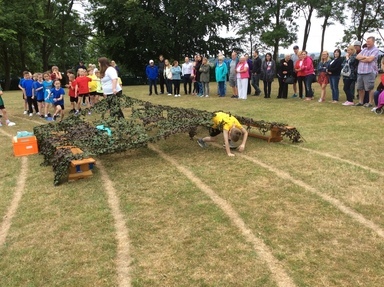 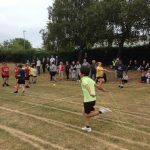 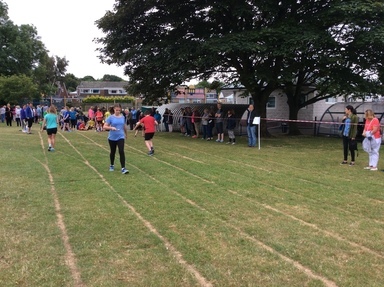 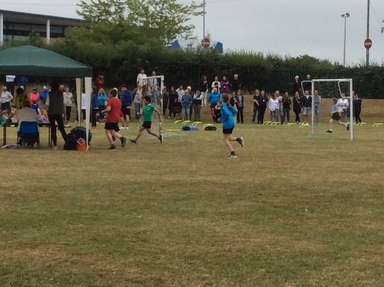 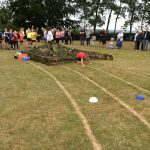 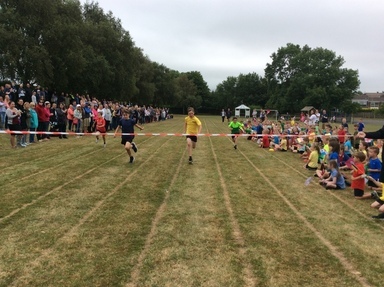 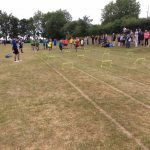 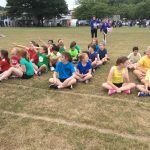 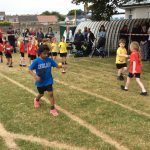 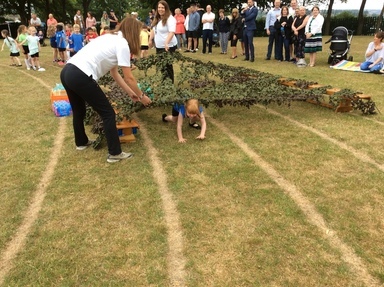 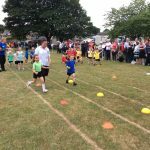 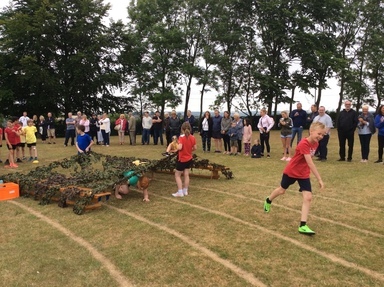 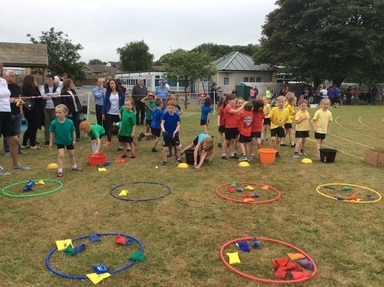 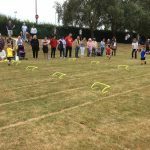 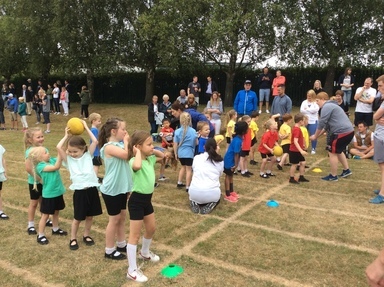 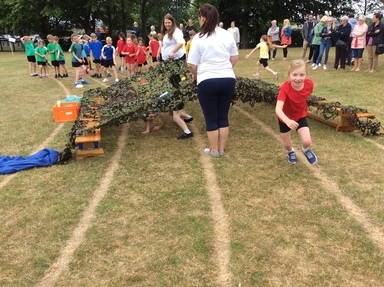 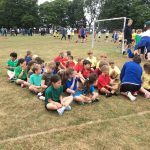 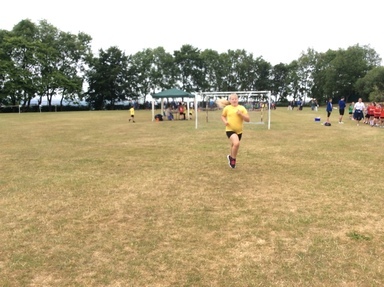 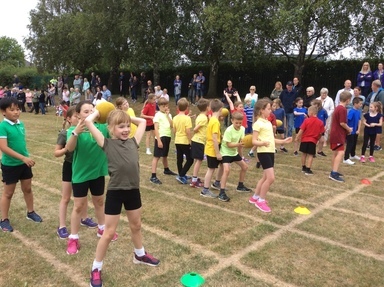 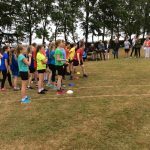 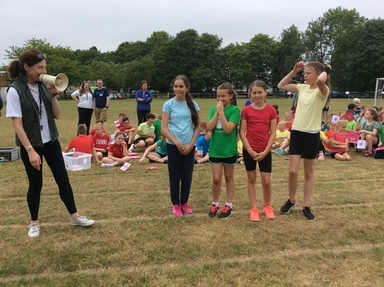 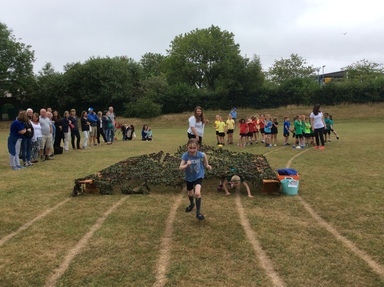 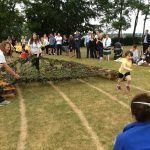 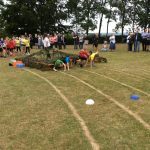 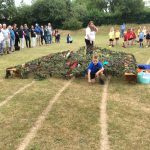 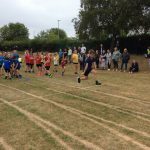 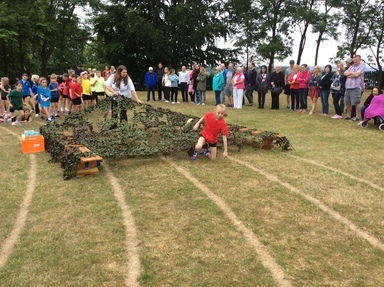 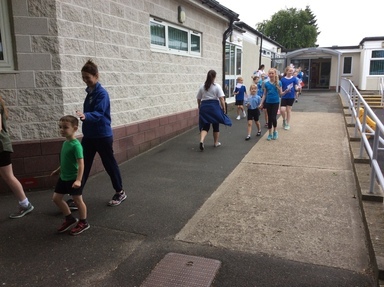 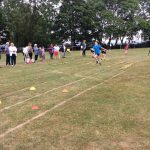 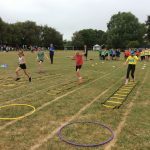 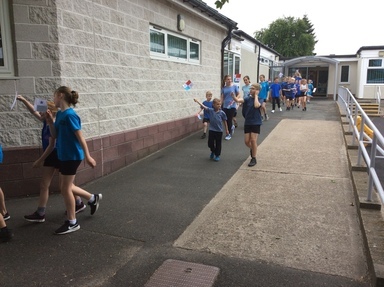 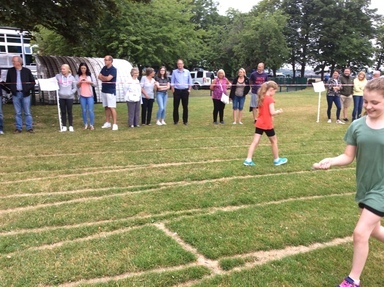 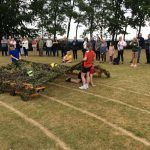 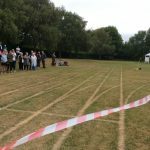 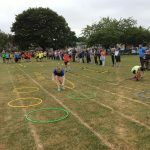 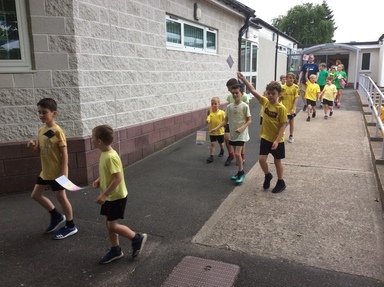 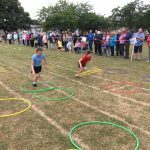 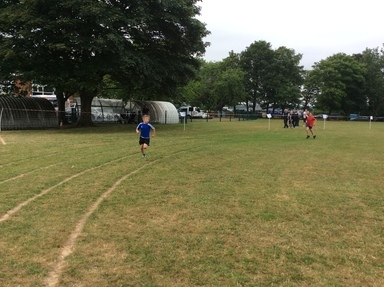 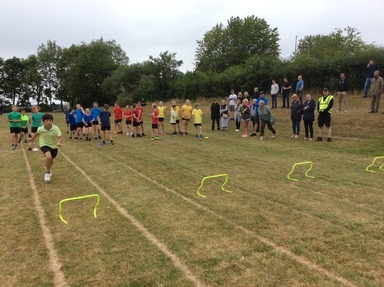 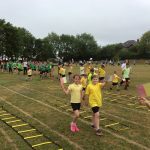 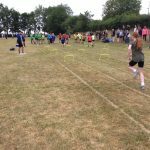 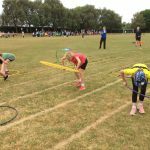 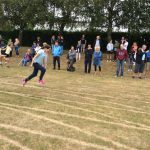 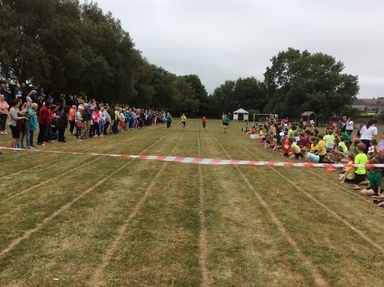 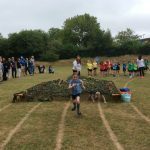 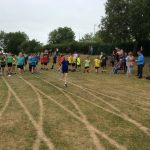 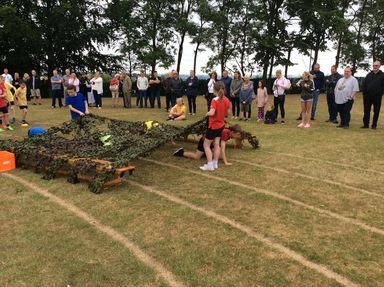 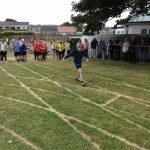 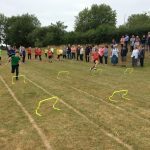 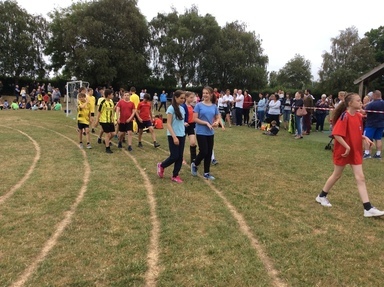 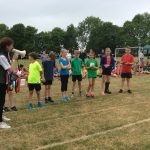 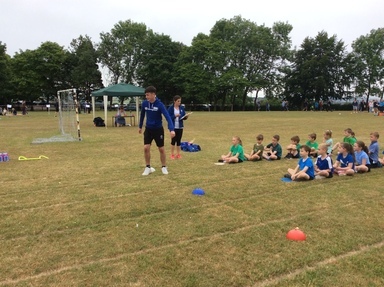 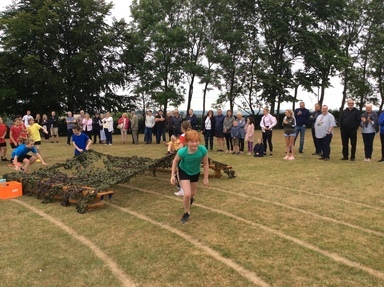 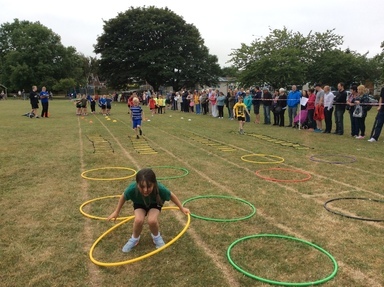 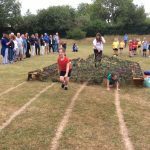 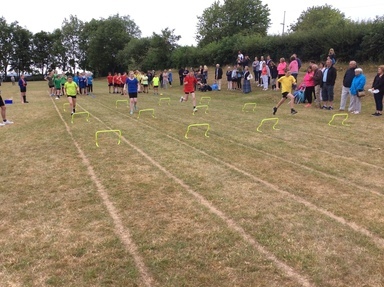 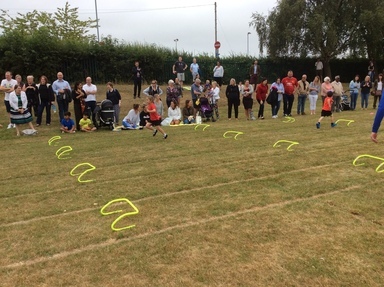 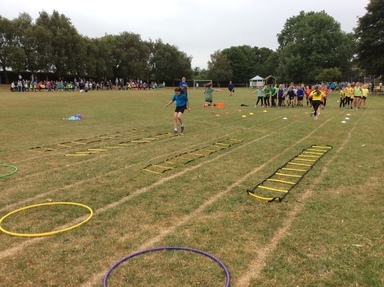 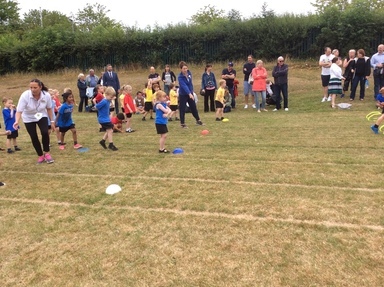 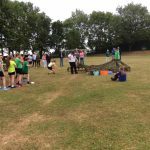 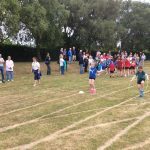 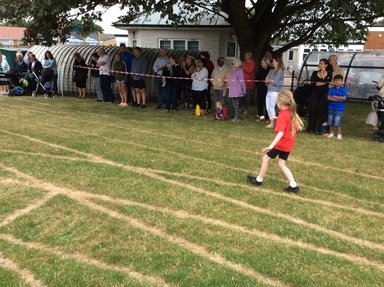 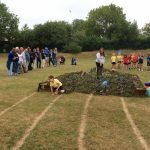 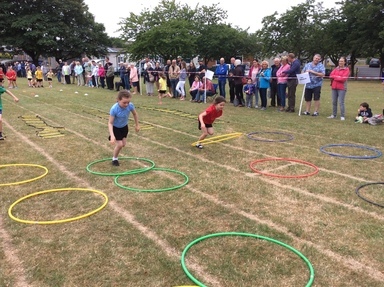 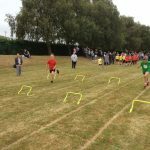 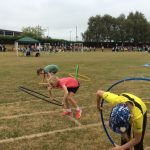 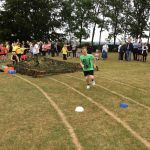 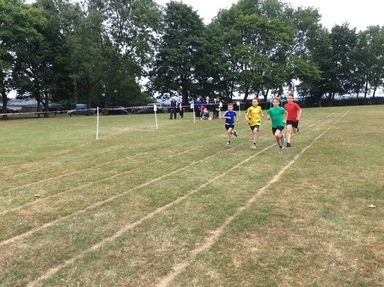 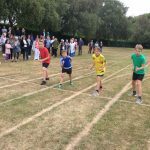 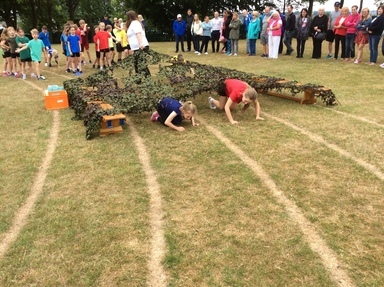 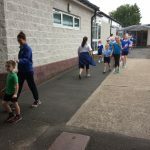 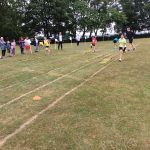 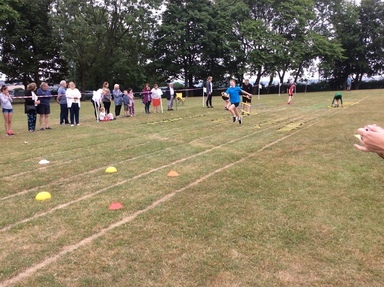 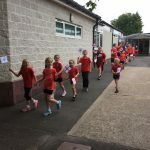 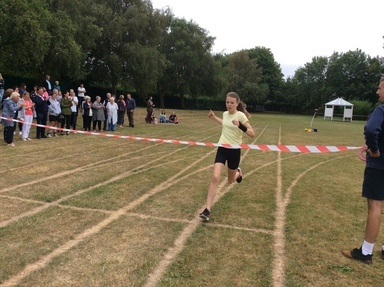 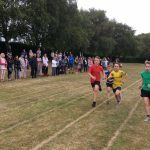 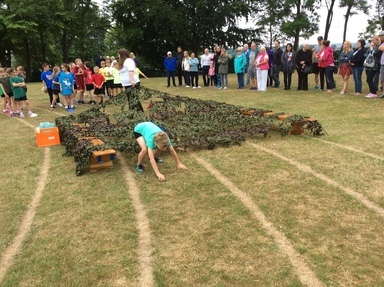 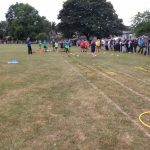 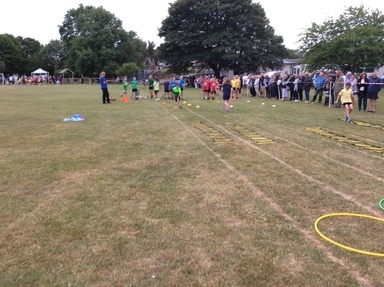 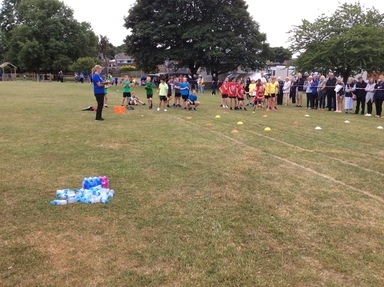 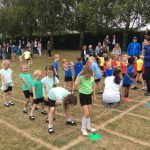 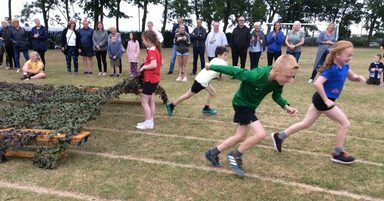 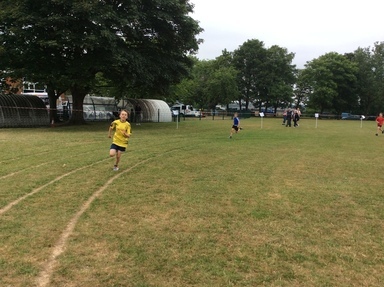 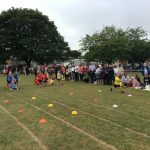 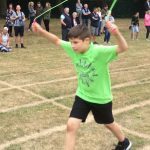 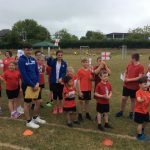 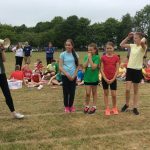 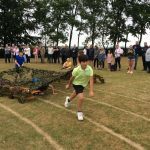 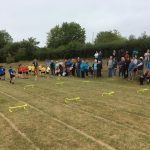 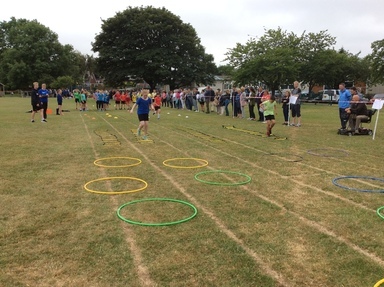 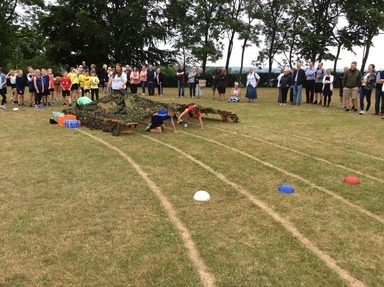 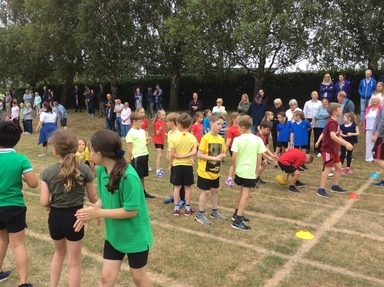 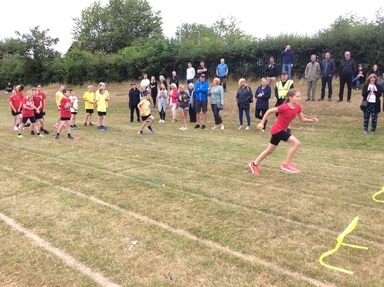 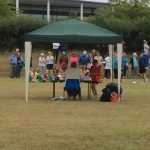 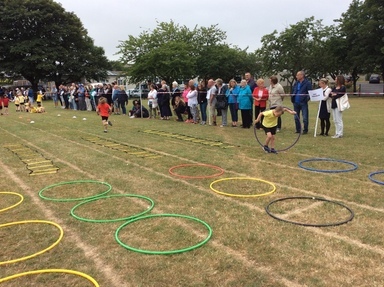 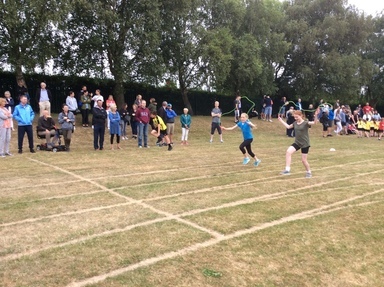 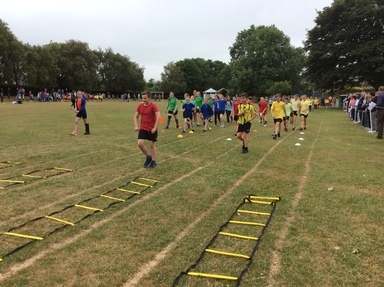 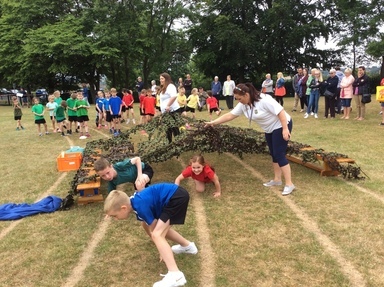 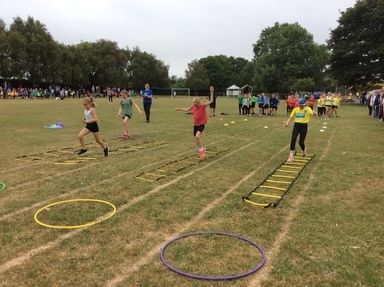 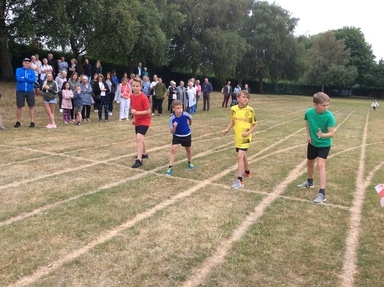 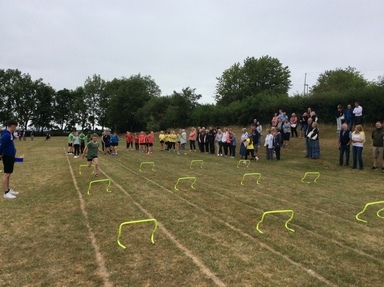 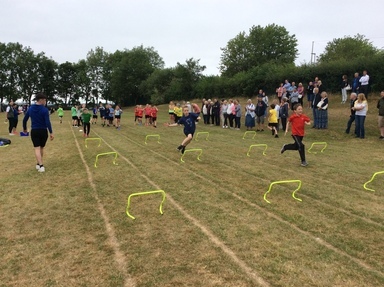 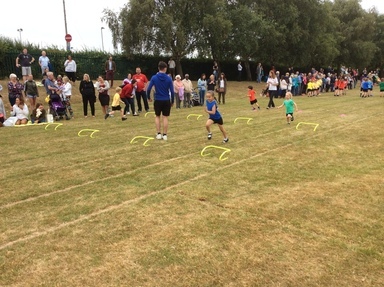 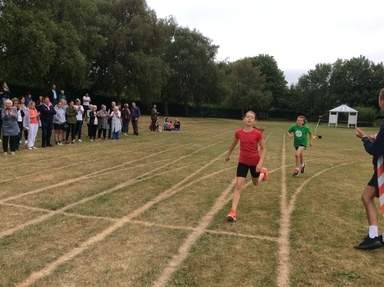 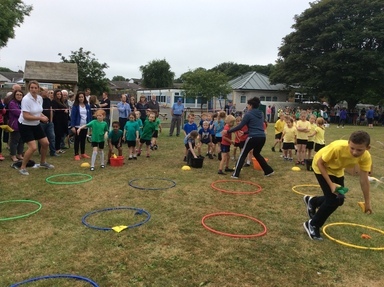 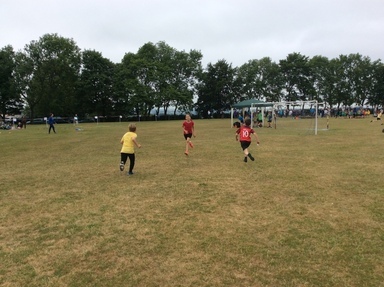 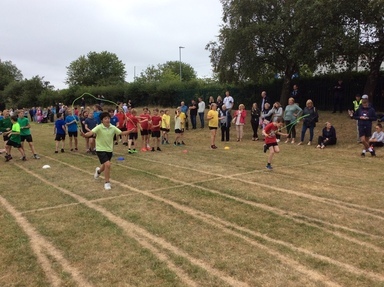 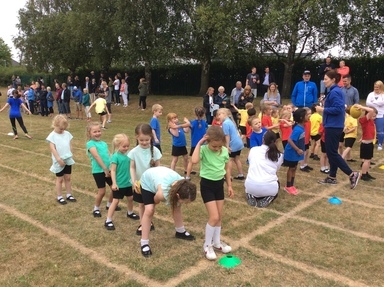 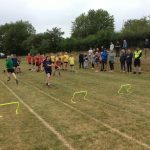 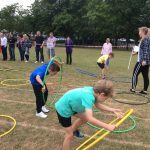 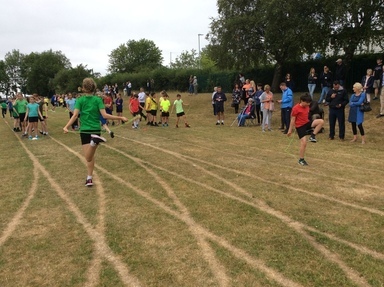 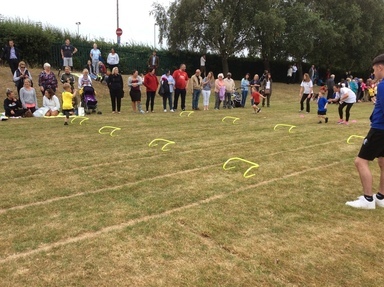 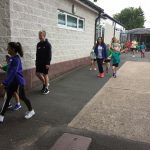 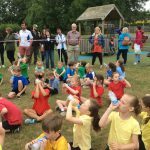 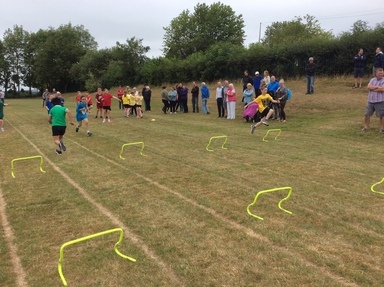 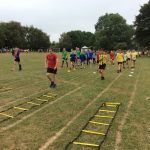 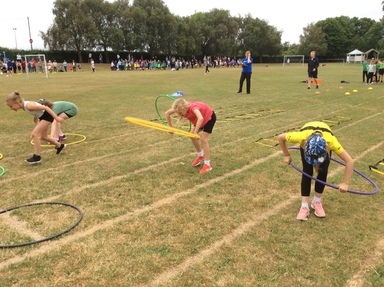 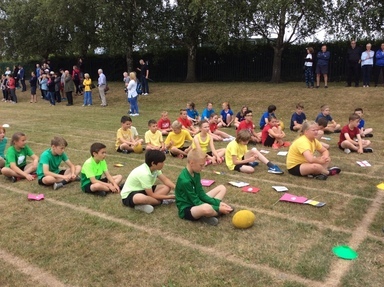 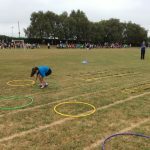 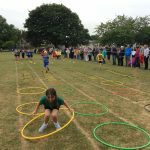 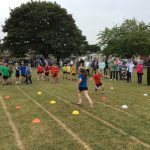 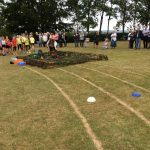 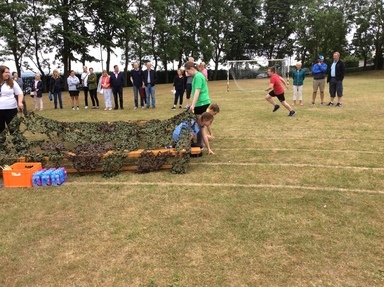 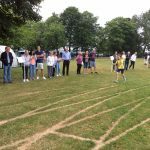 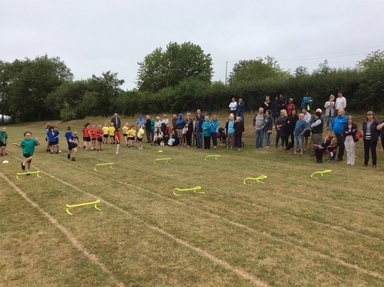 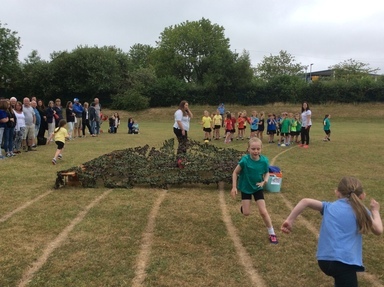 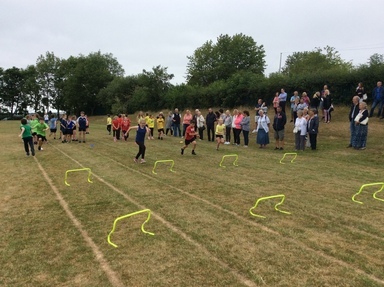 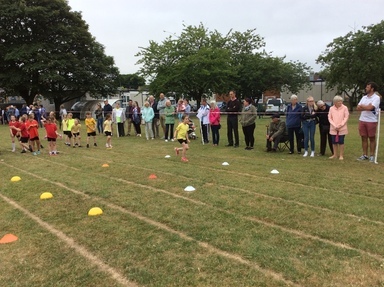 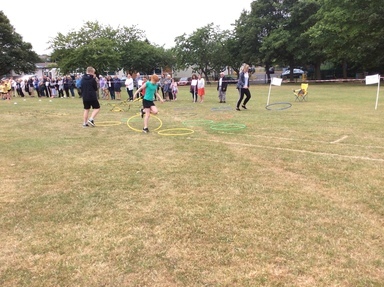 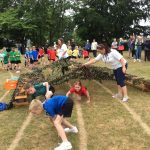 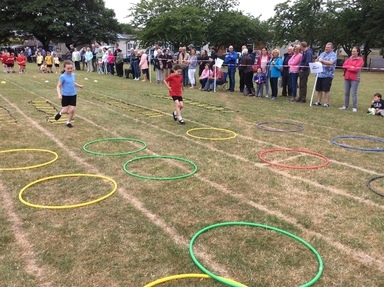 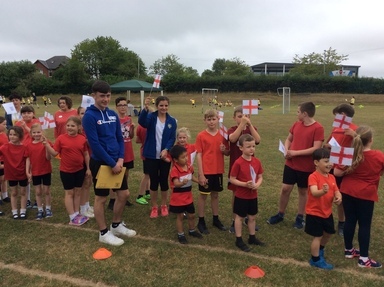 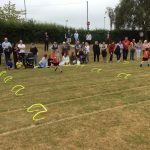 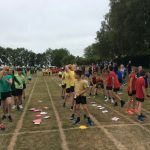 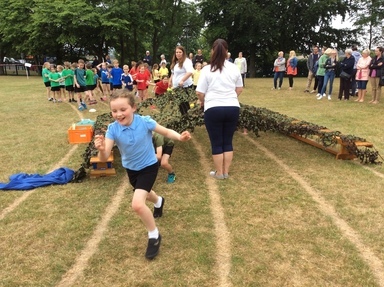 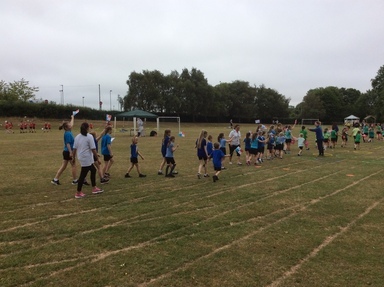 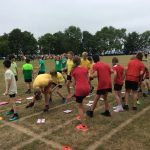 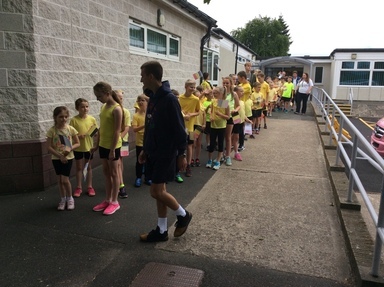 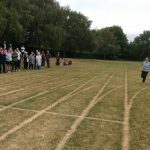 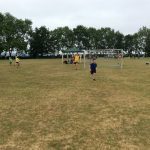 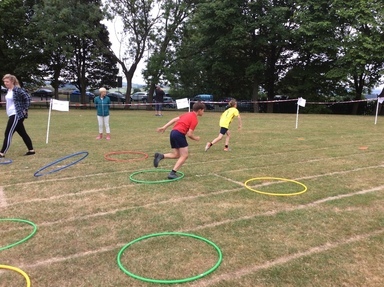 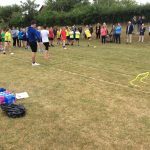 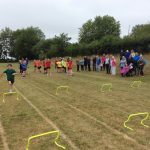 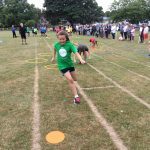 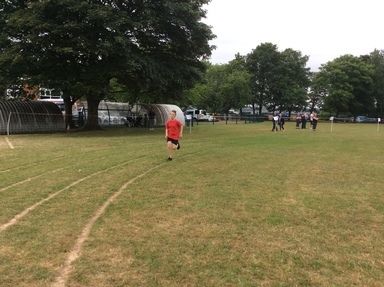 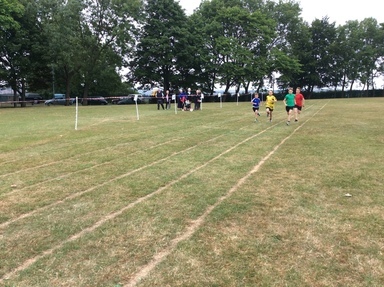 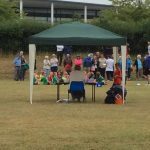 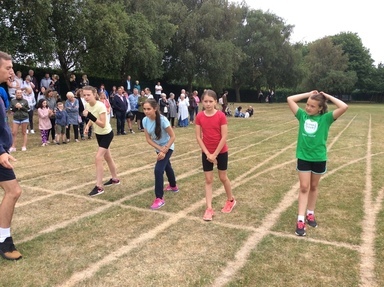 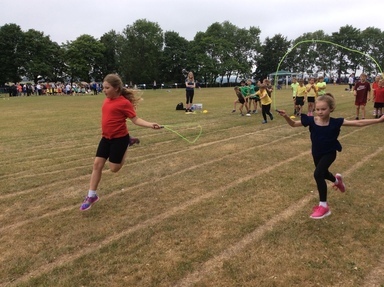 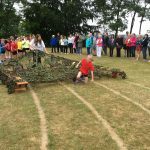 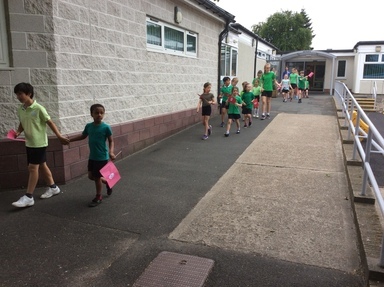 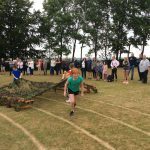 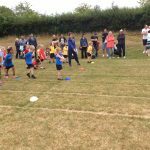 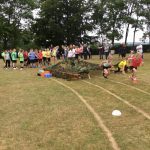 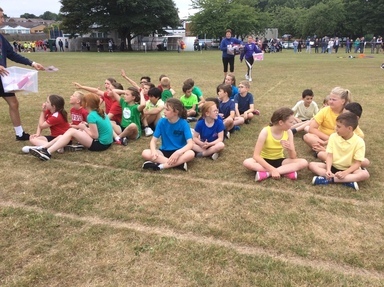 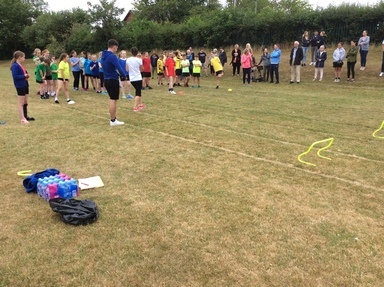 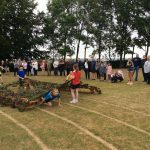 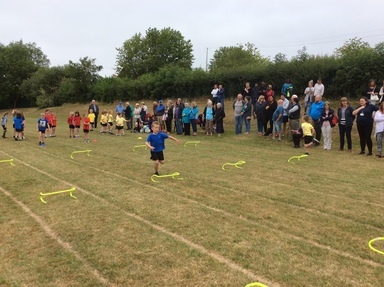 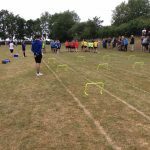 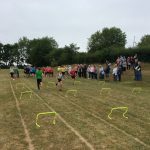 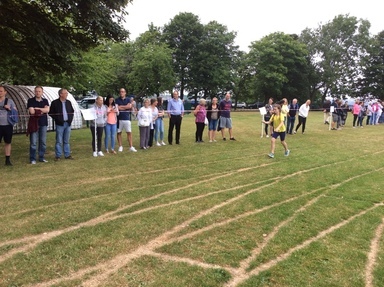 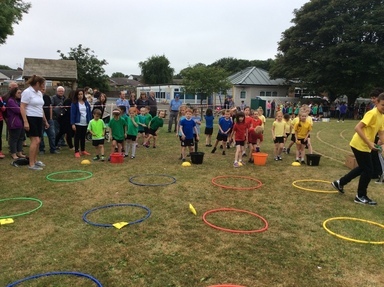 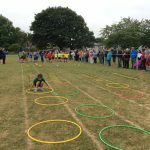 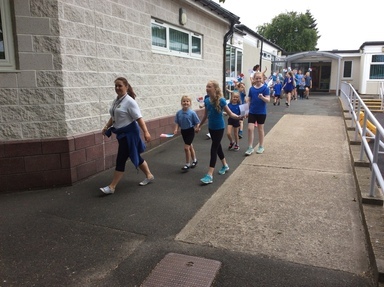 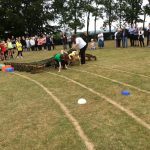 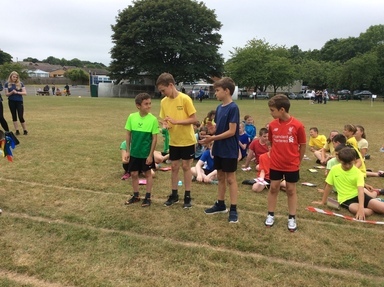 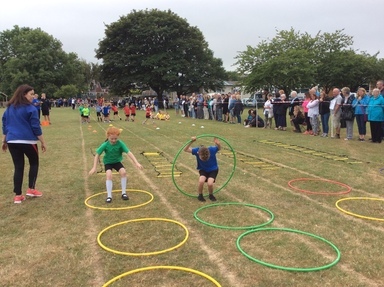 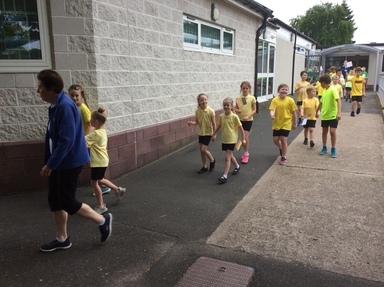 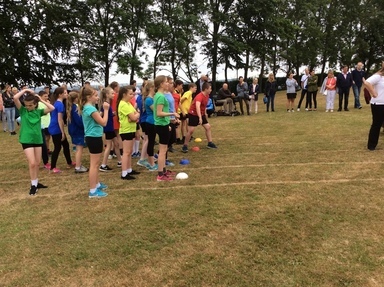 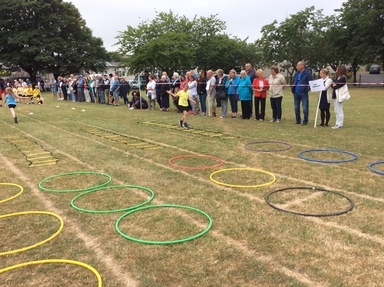 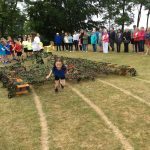 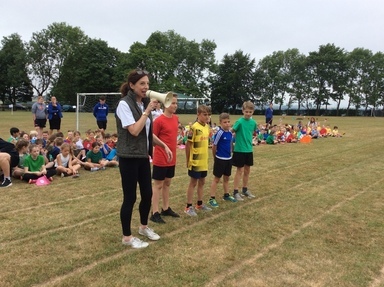 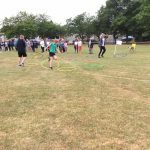 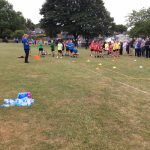 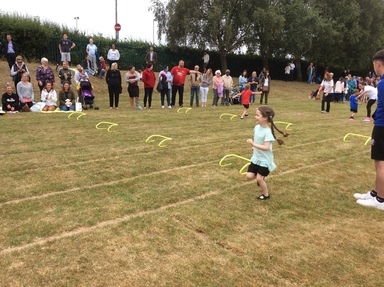 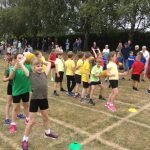 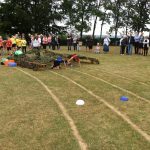 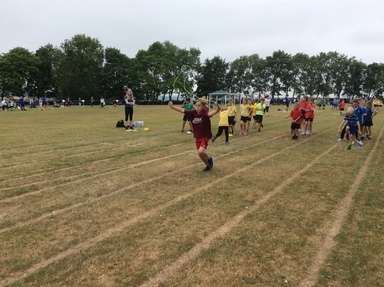 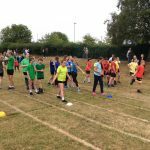 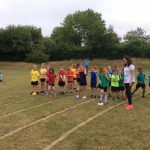 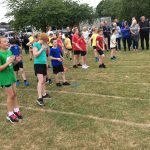 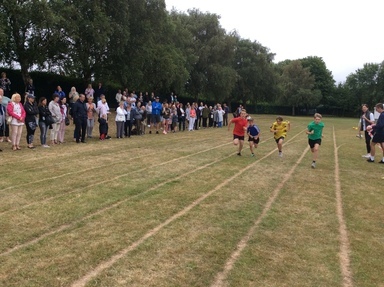 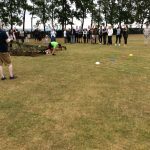 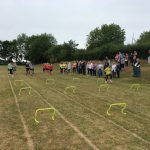 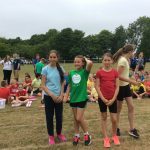 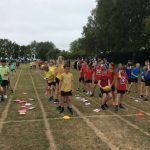 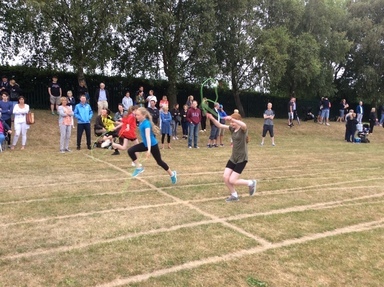 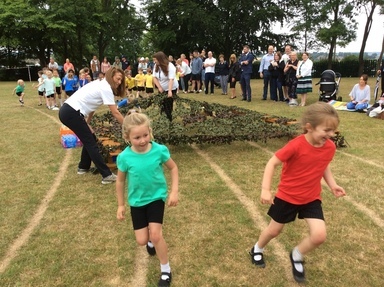 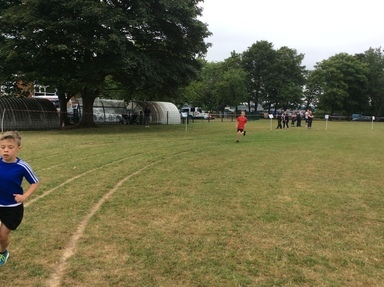 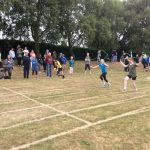 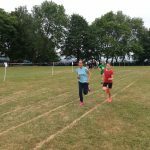 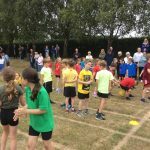 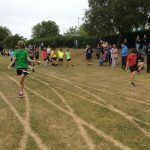 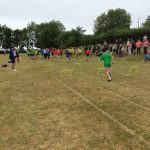 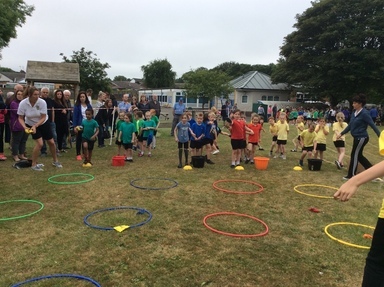 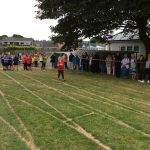 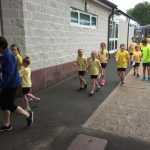 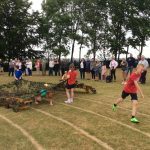 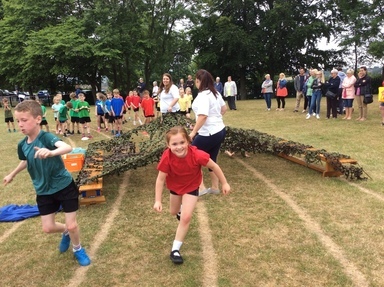 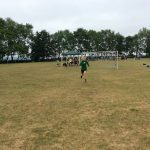 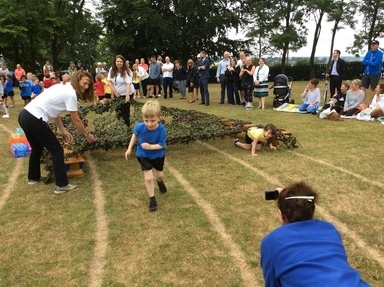 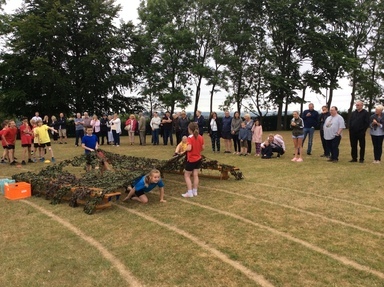 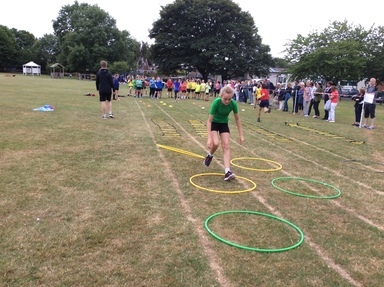 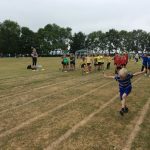 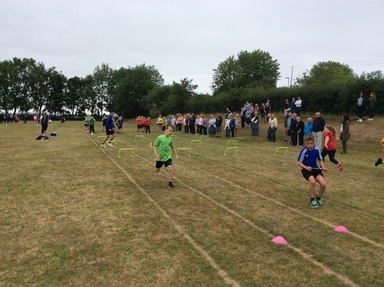 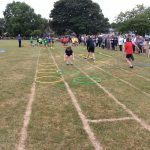 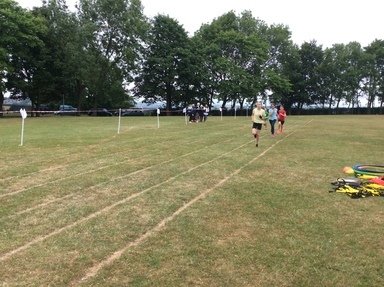 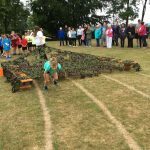 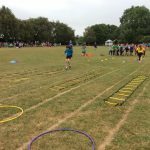 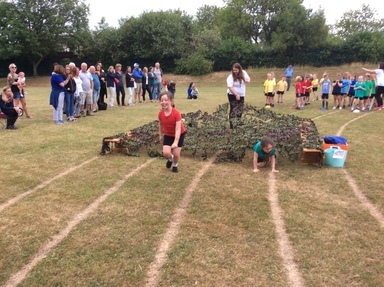 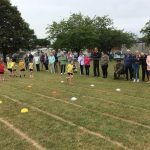 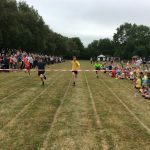 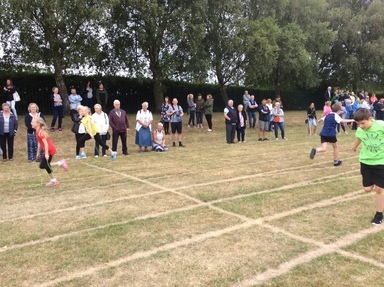 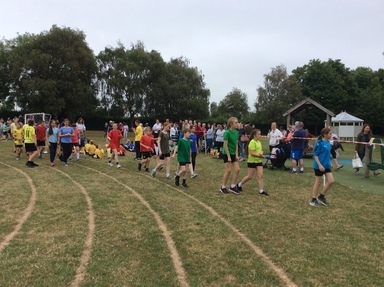 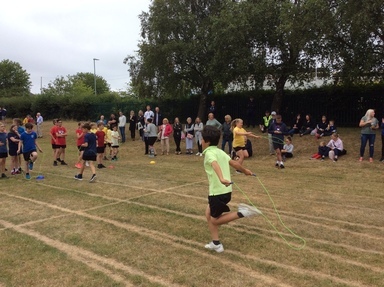 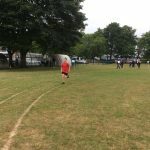 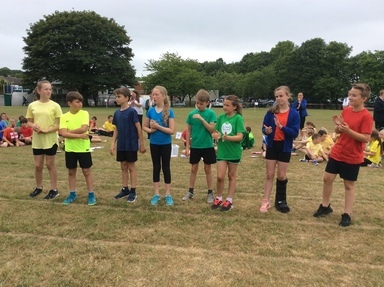 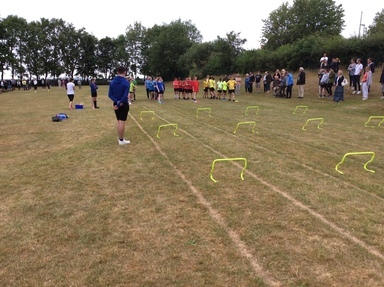 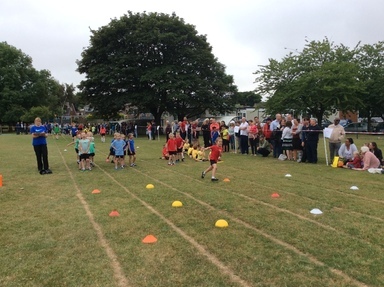 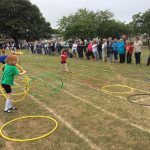 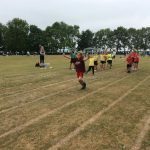 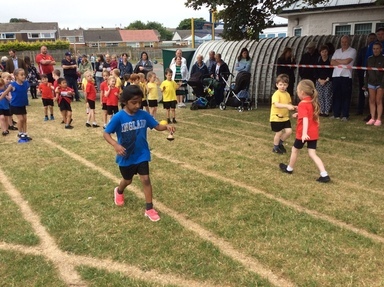 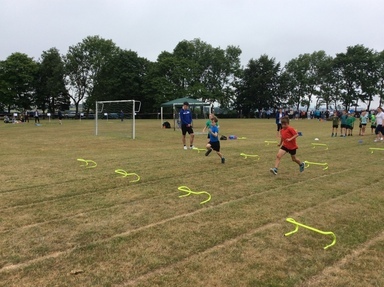 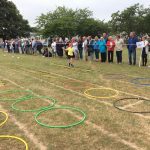 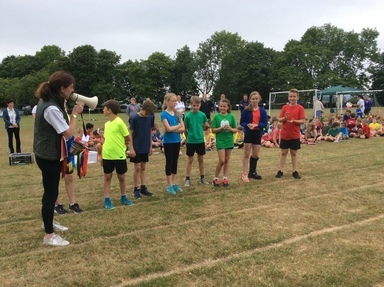 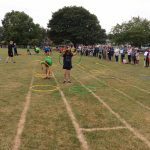 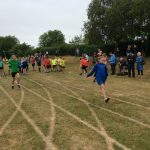 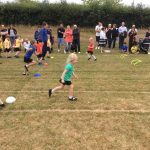 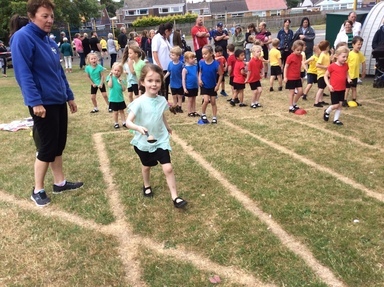 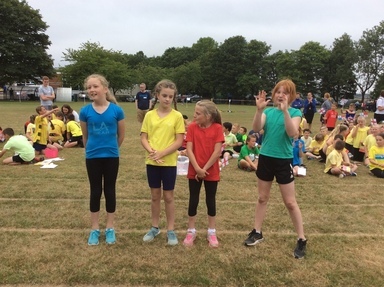 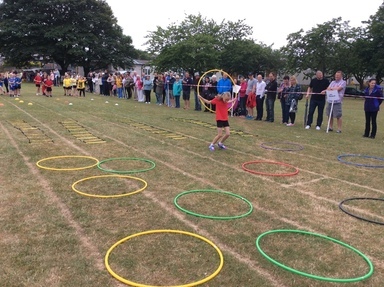 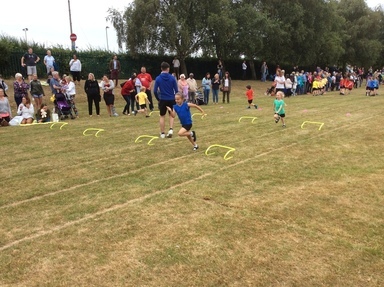 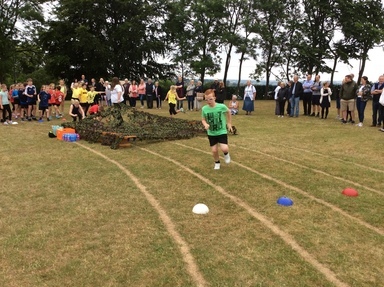 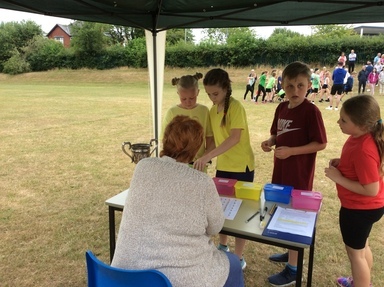 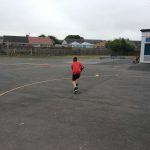 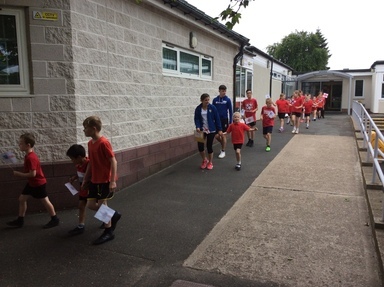 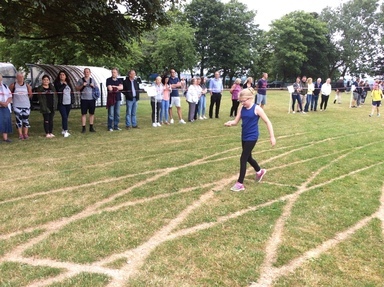 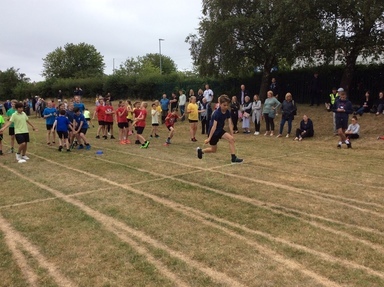 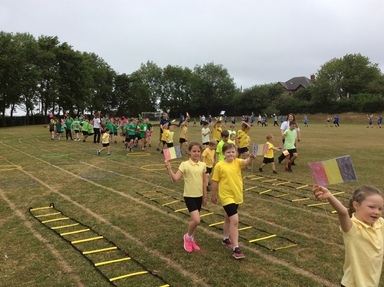 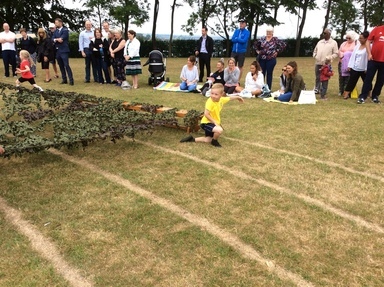 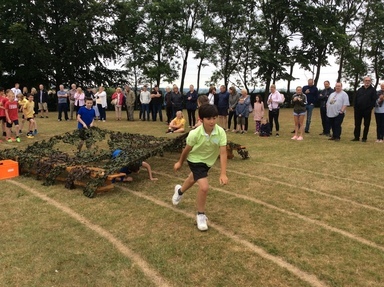 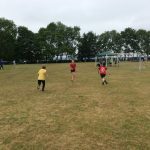 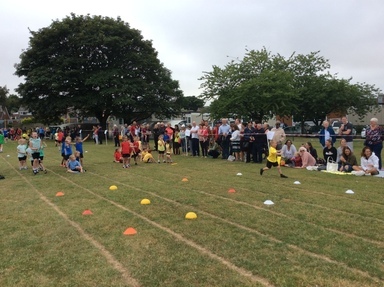 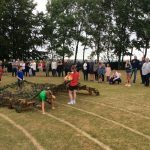 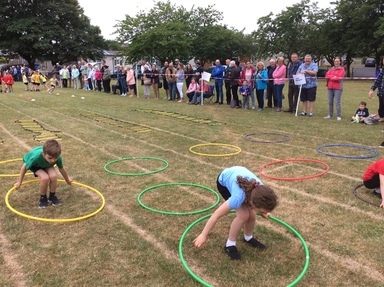 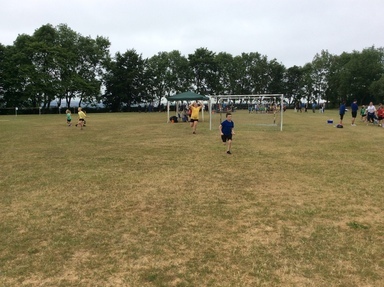 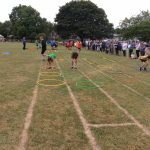 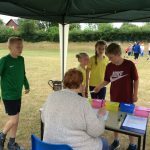 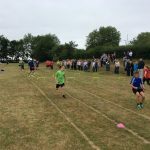 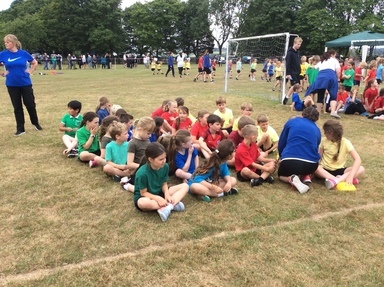 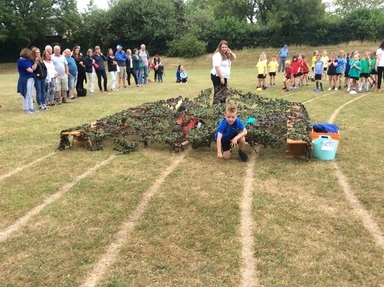 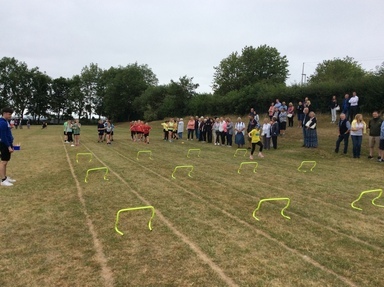 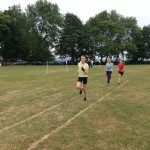 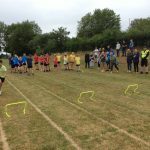 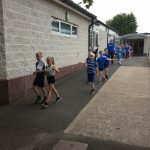 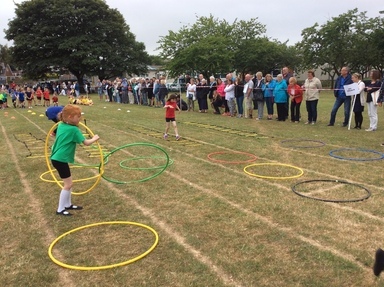 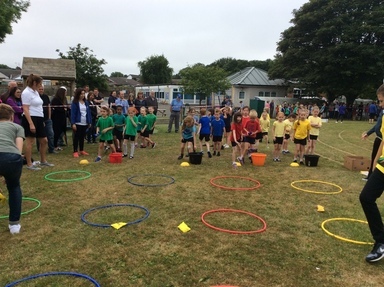 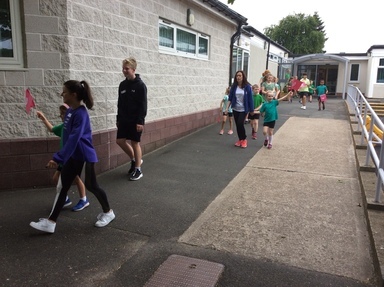 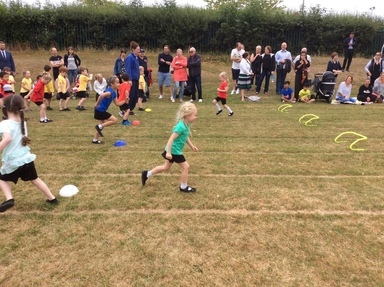 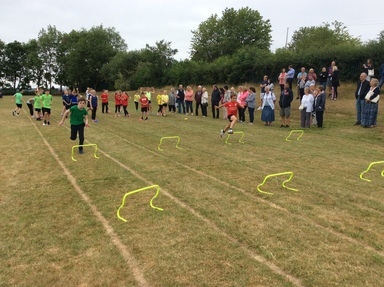 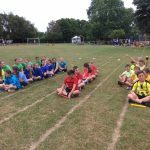 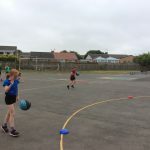 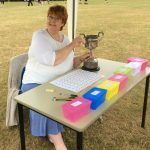 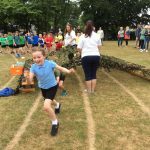 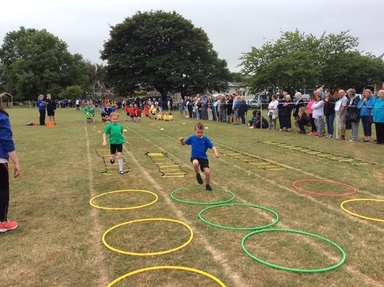 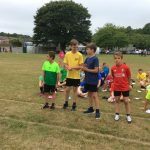 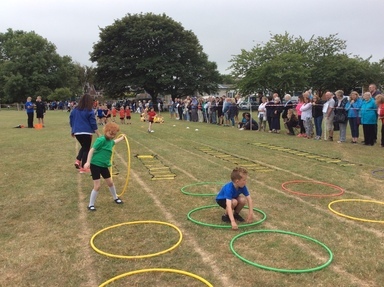 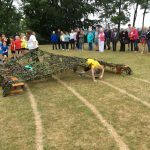 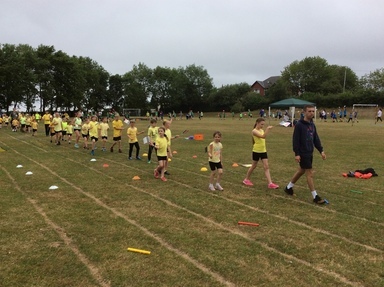 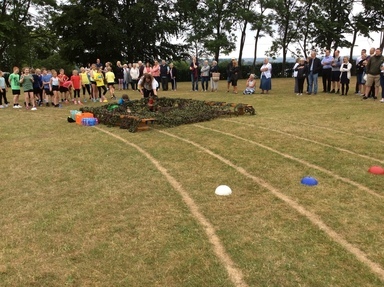 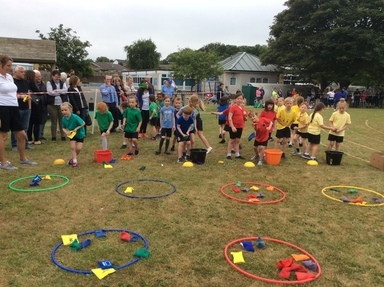 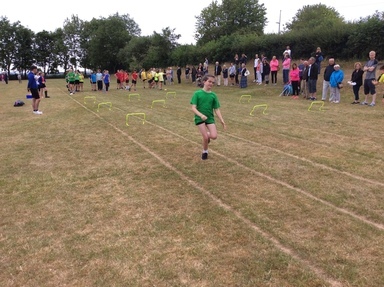 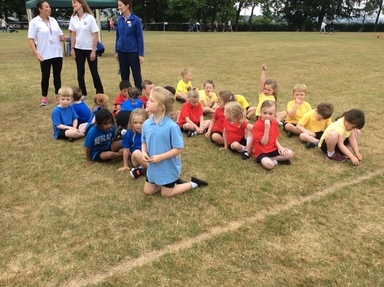 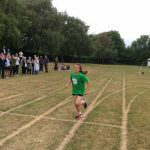 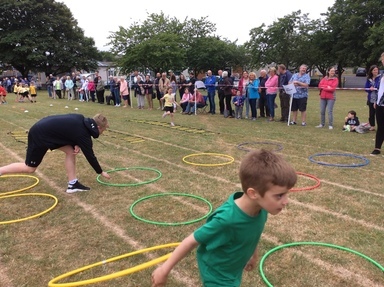 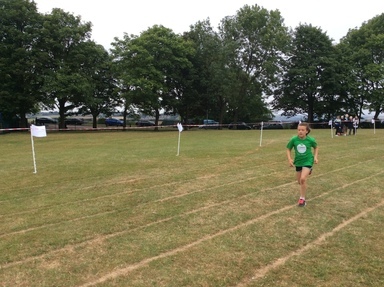 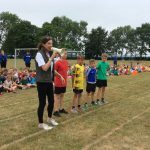 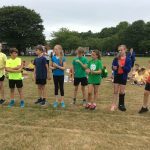 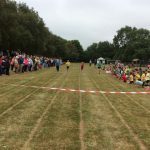 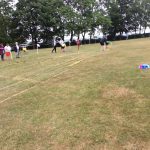 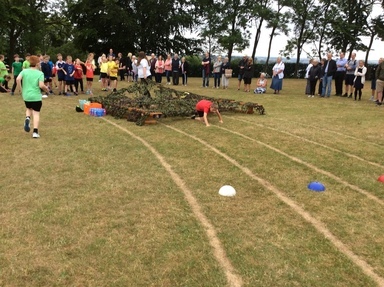 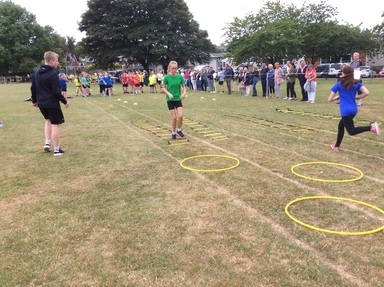 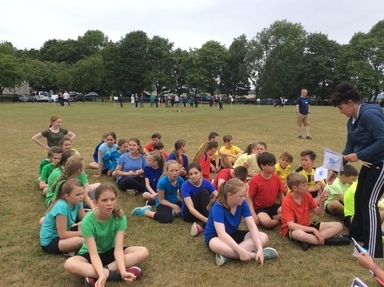 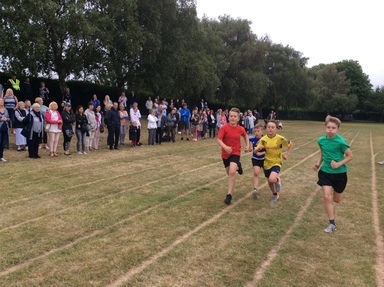 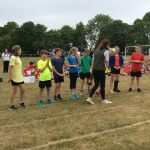 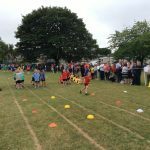 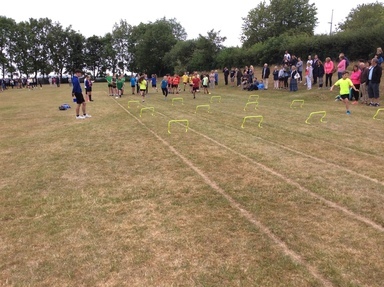 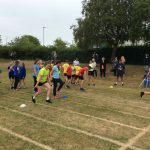 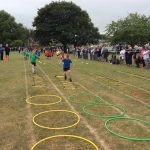 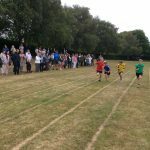 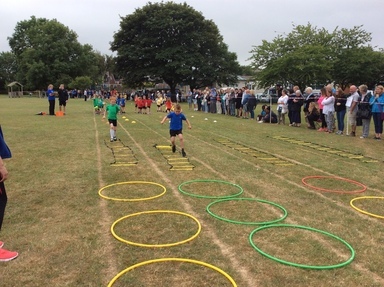 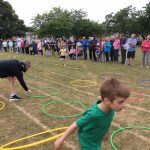 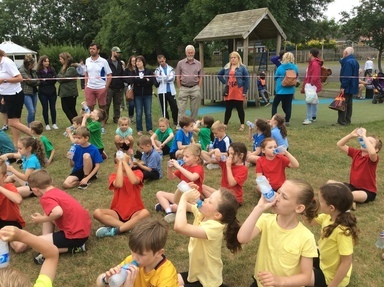 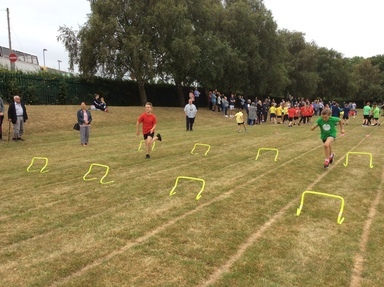 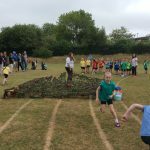 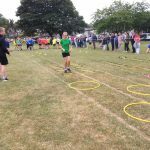 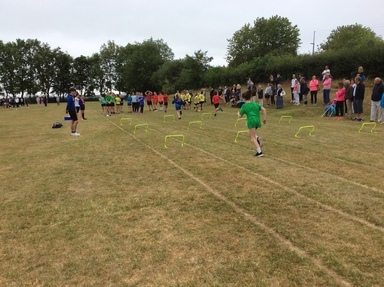 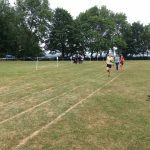 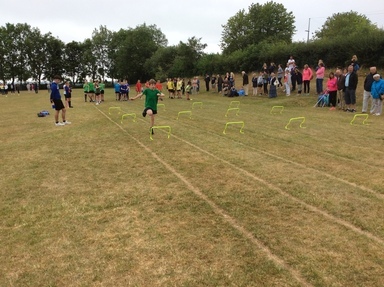 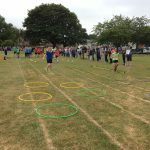 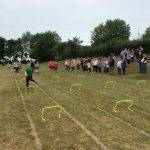 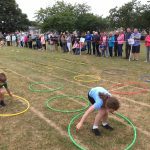 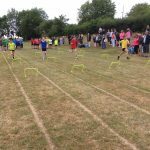 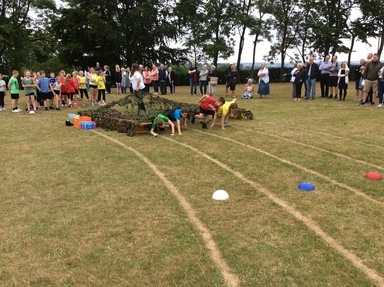 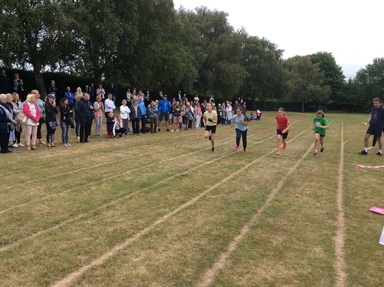 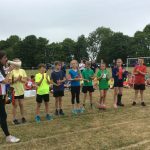 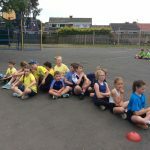 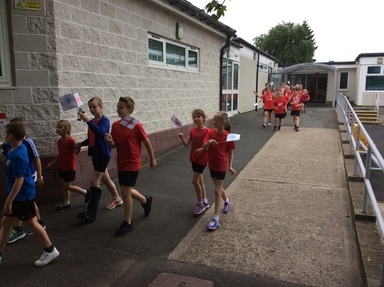 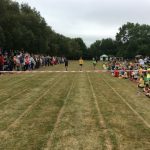 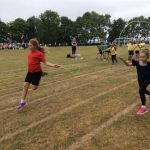 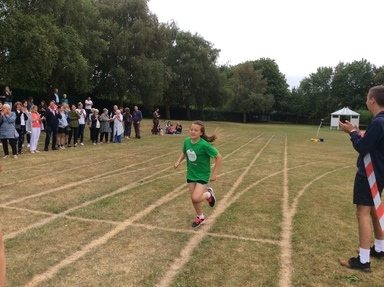 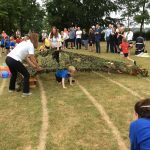 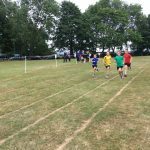 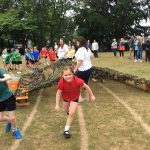 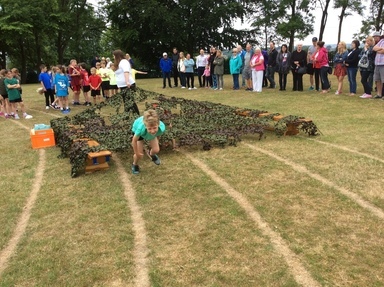 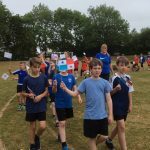 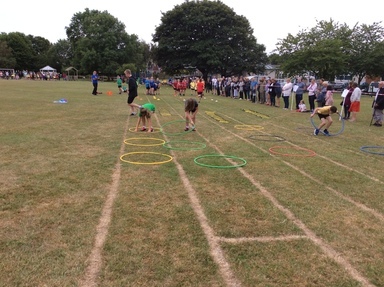 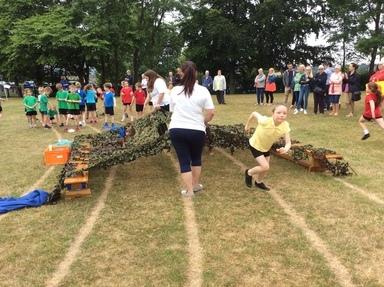 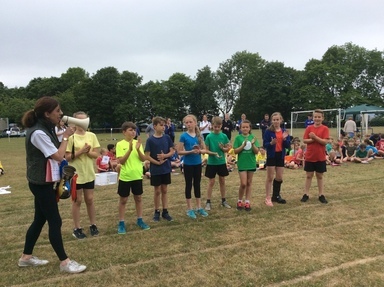 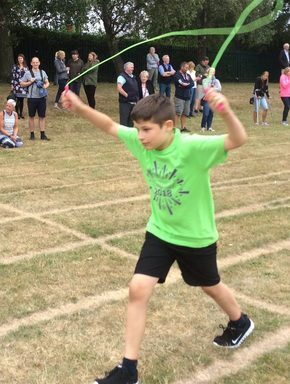 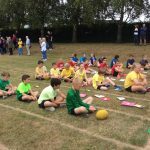 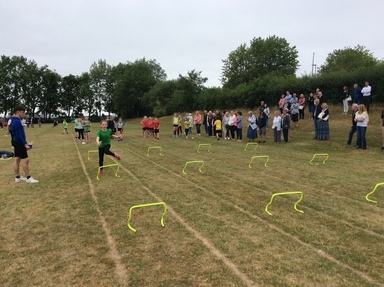 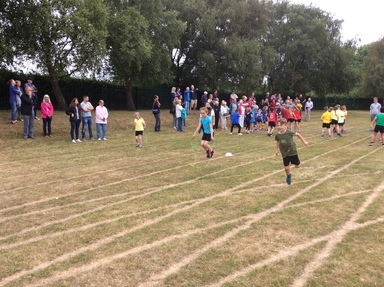 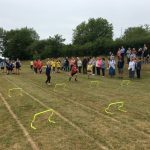 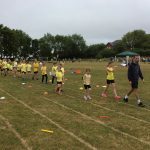 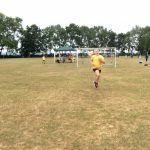 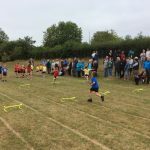 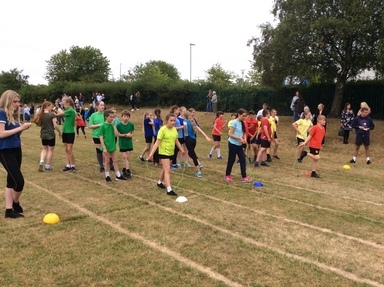 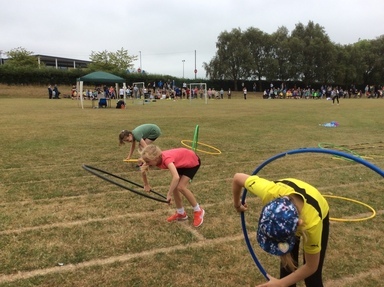 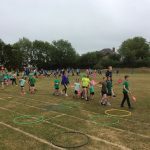 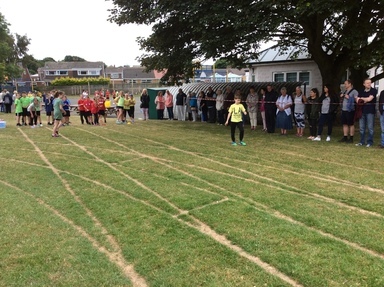 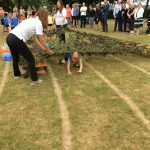 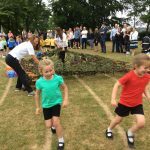 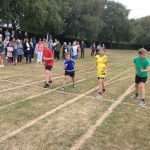 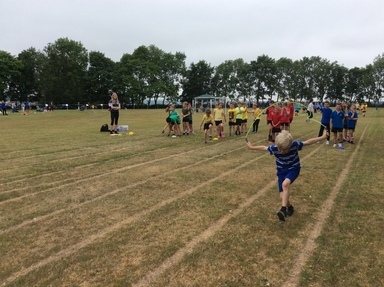 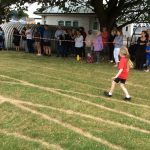 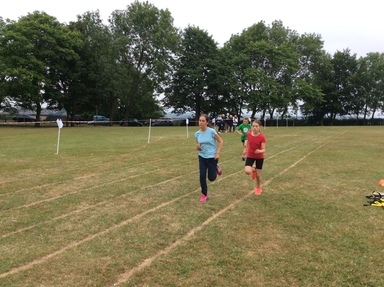 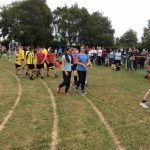 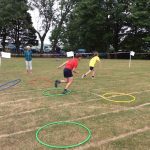 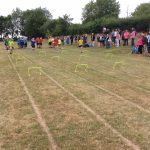 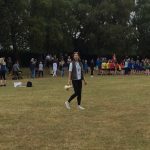 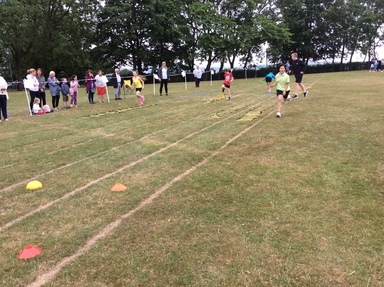 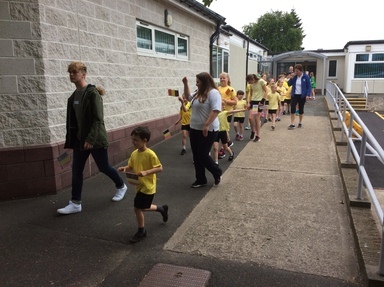 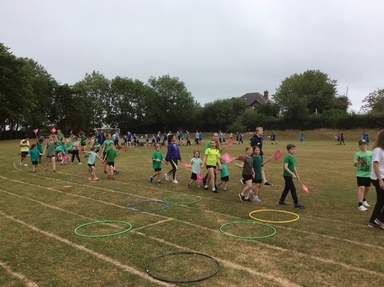 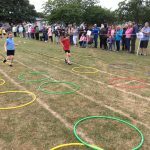 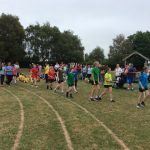 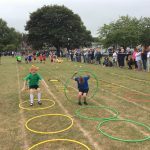 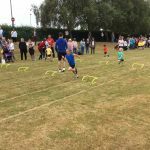 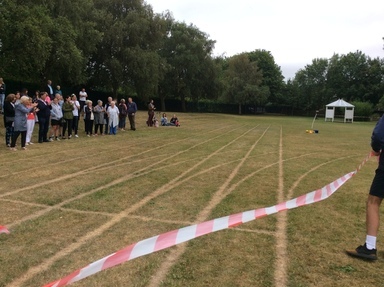 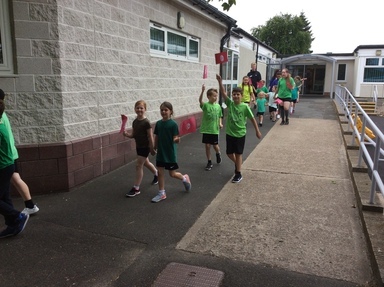 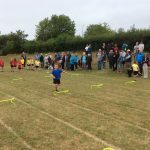 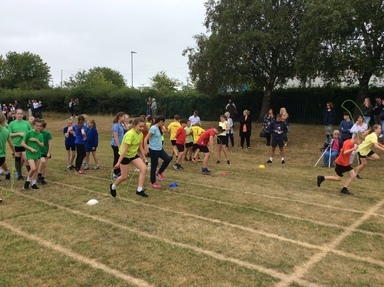 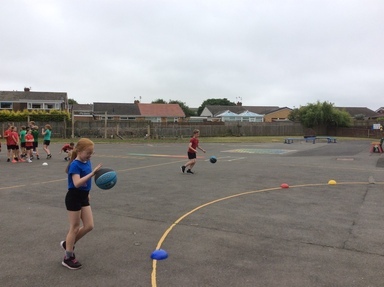 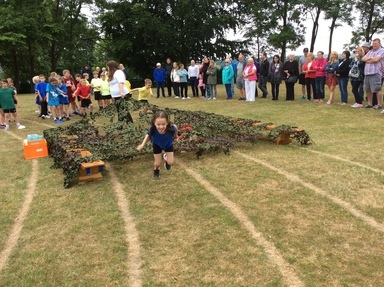 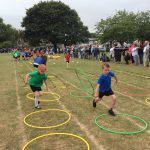 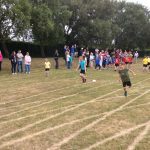 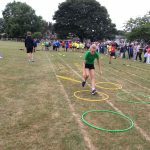 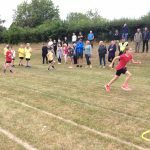 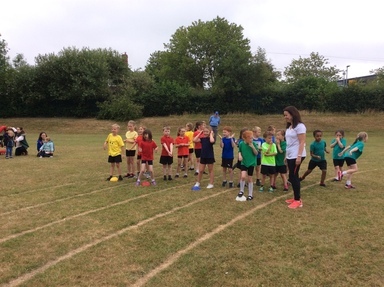 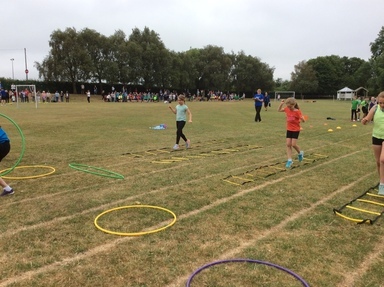 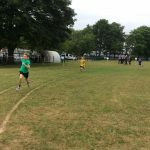 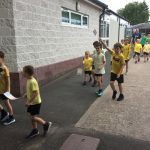 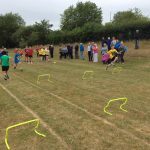 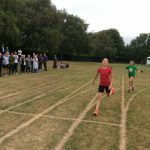 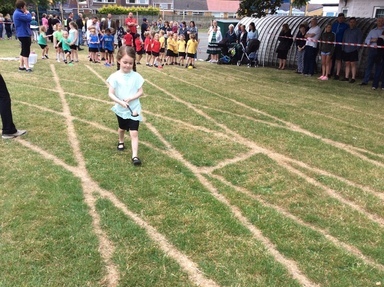 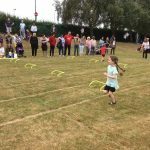 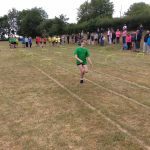 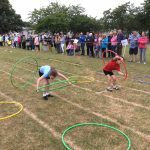 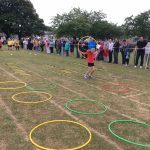 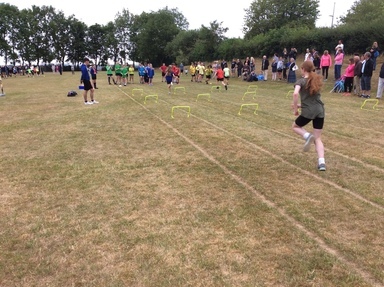 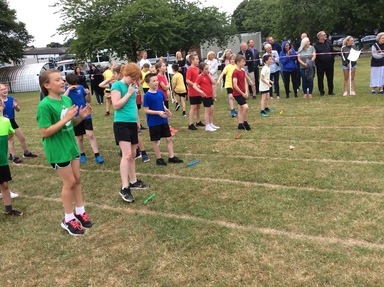 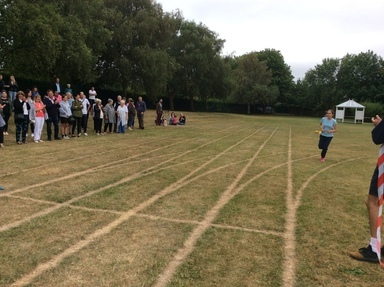 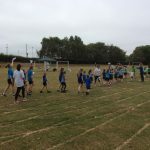 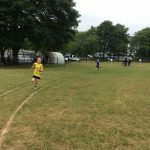 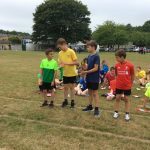 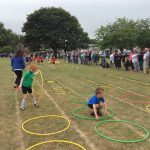 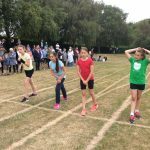 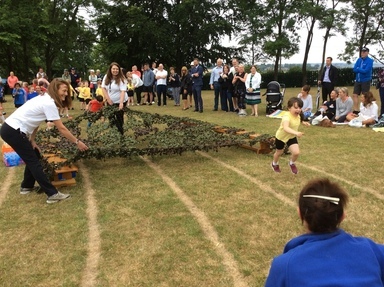 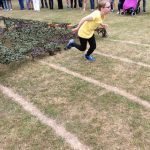 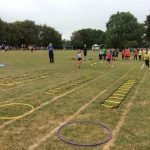 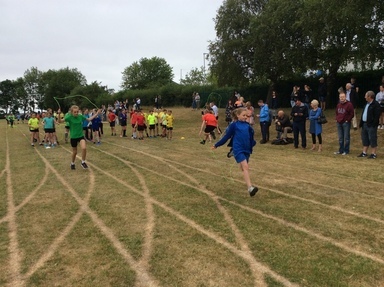 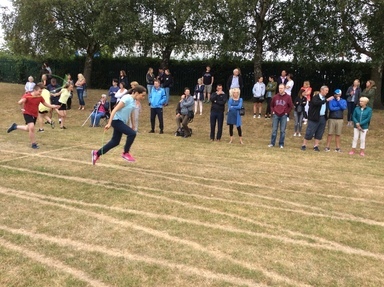 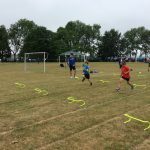 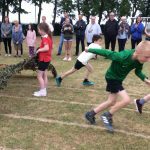 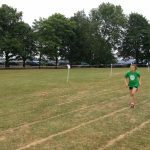 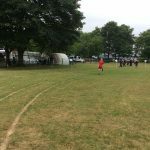 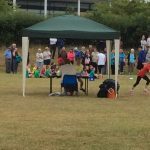 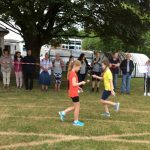 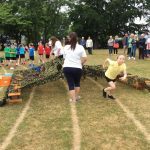 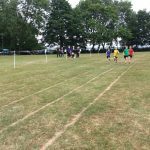 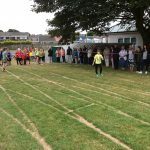 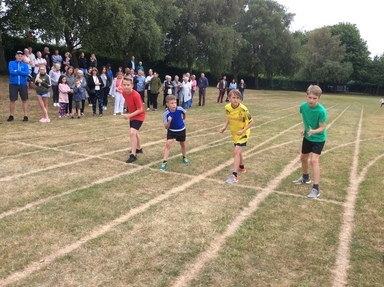 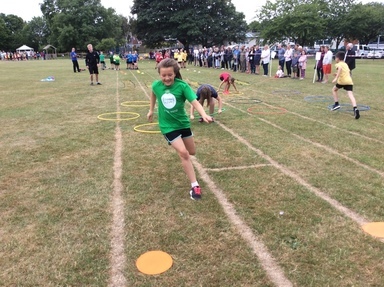 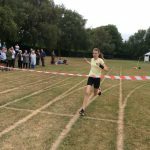 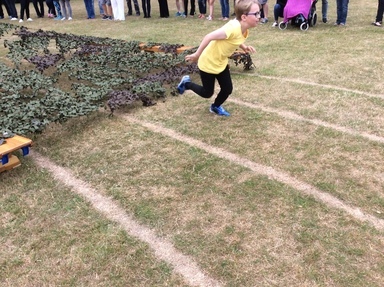 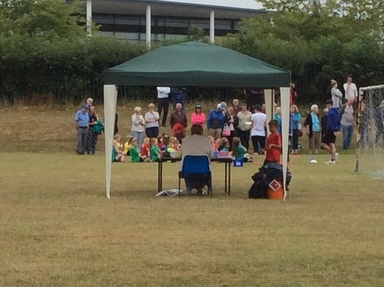 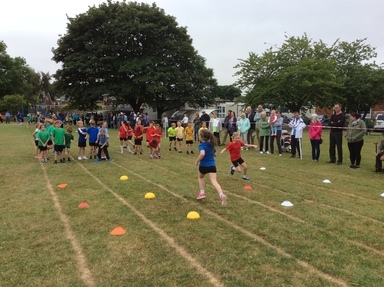 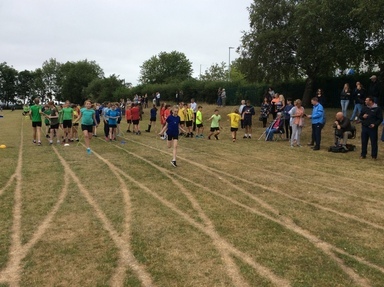 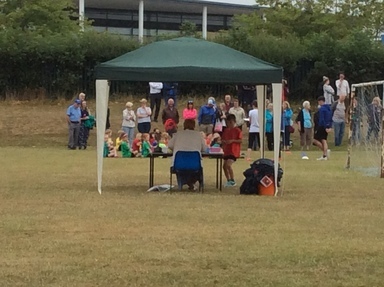 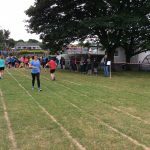 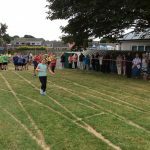 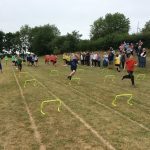 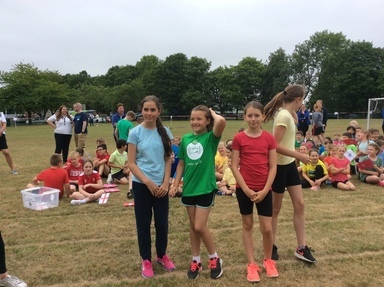 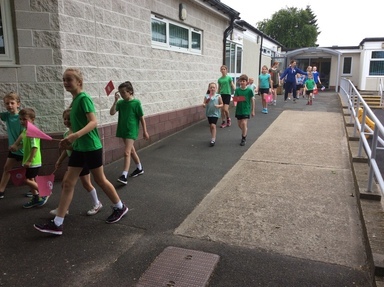 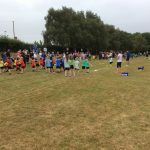 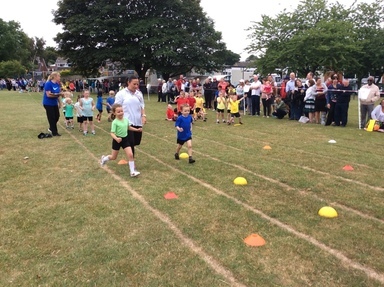 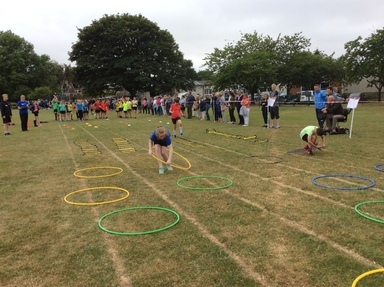 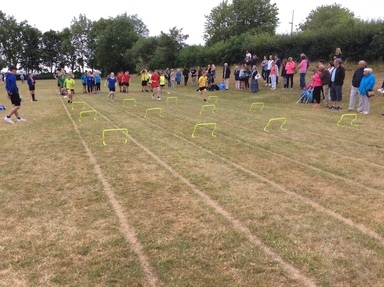 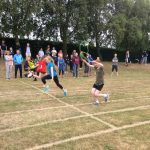 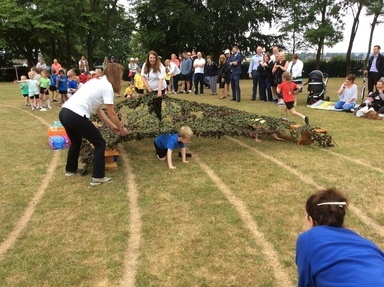 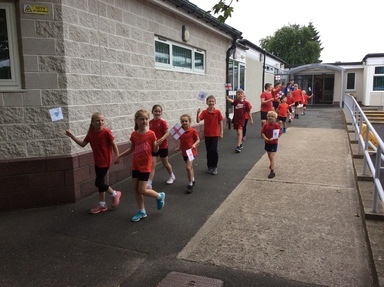 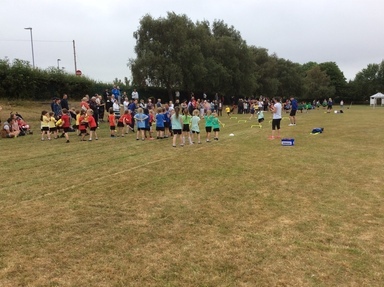 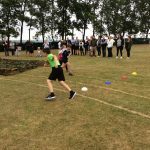 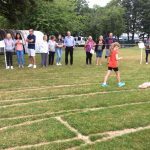 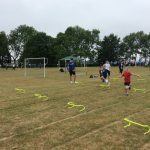 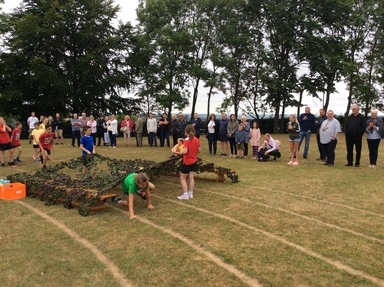 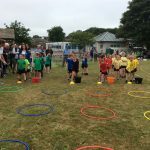 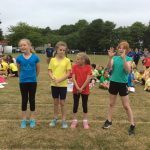 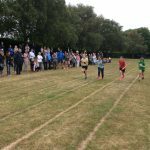 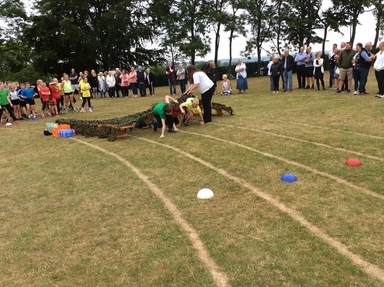 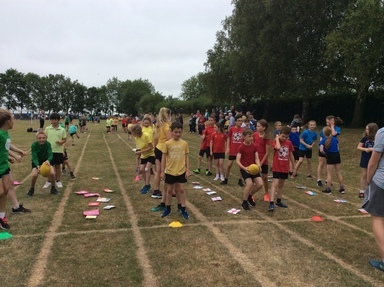 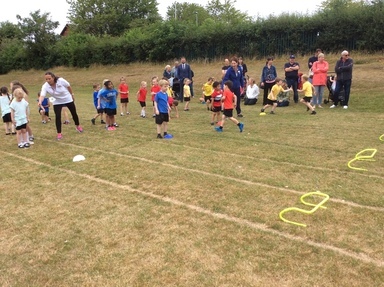 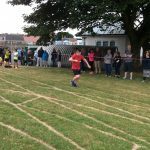 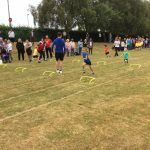 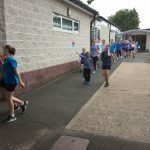 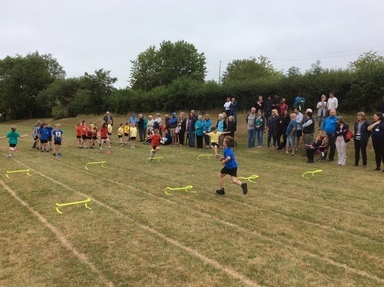 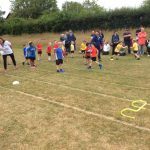 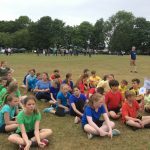 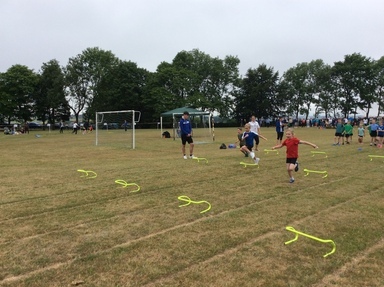 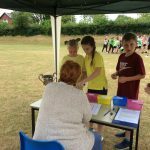 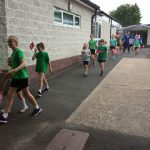 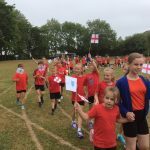 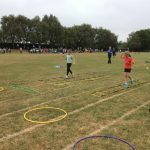 Given the very hot weather of late, the slightly cooler, overcast afternoon of Monday 9th July was certainly very welcome for our Sports Day event. 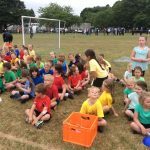 It has become tradition for us to link the event to a bigger, national or international tournament, and this year it was always going to the the World Cup that we made the association with! 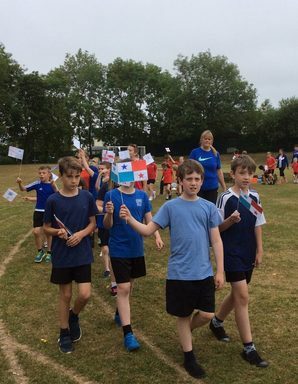 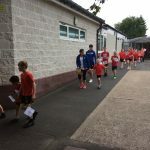 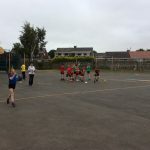 Each House had been linked with one of the 4 countries to play England in the knock-out stages of the event: Warkworth House flew the flag for Tunisia; Lindisfarne House likewise for Panama; and Alnwick House represented Belgium. 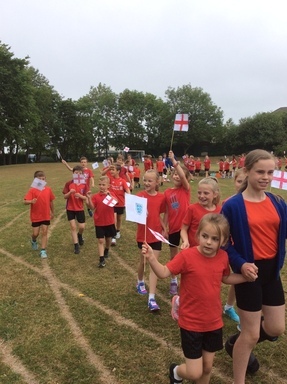 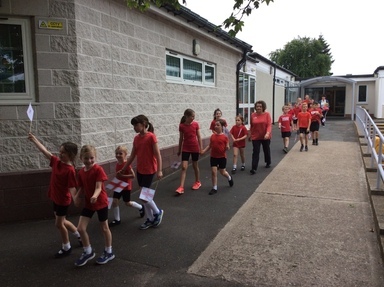 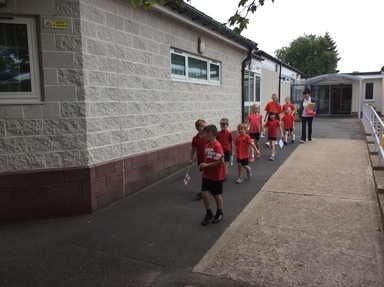 The children of Bamburgh House were naturally delighted to represent England! 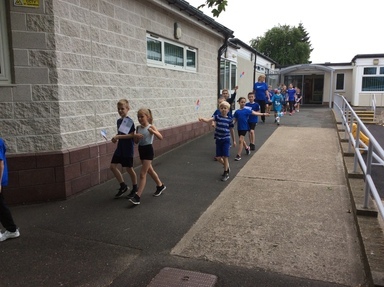 As well as making flags of these four nations, children had also learned some key facts about the countries in a special ‘Fellside Families’ event the previous week. 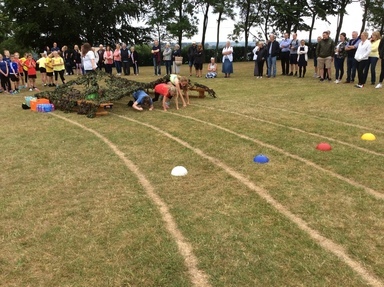 Children from Reception to Year 6 completed their traditional march-out in their House Teams, led by their House Captains at the start of the event, and after competing a circuit of seven events that included old-favourites like the egg and spoon; the commando net; the obstacle course and hurdles, the two Houses vying for first position were Bamburgh and Lindisfarne. 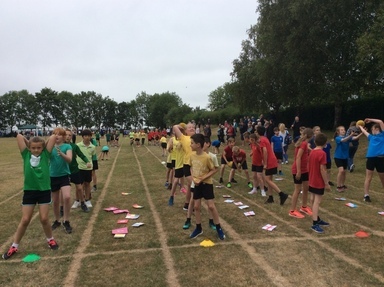 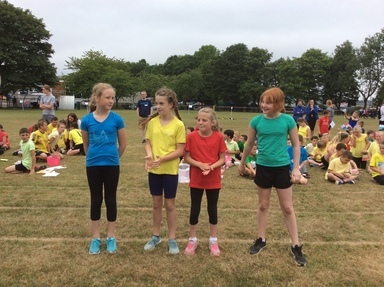 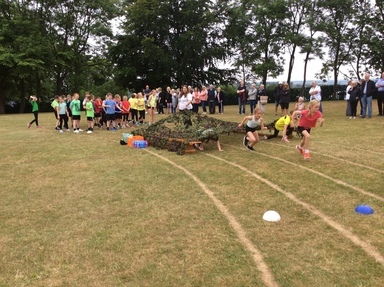 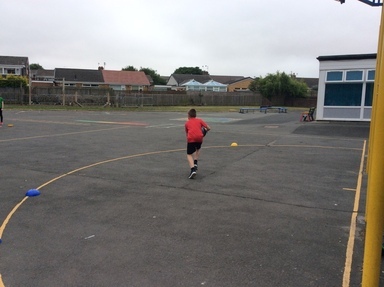 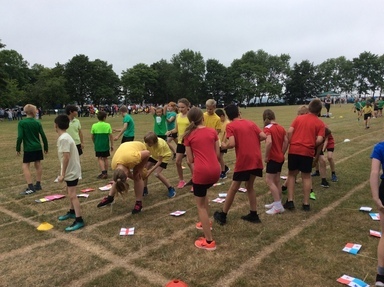 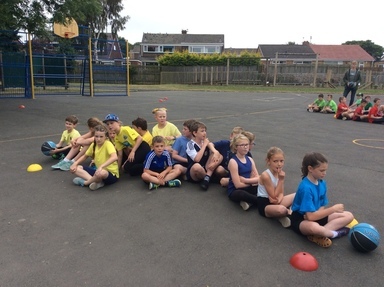 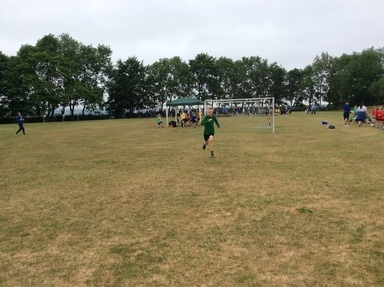 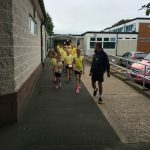 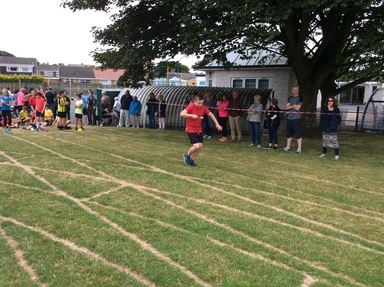 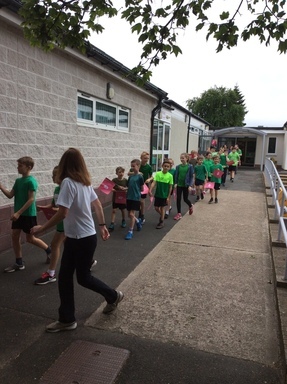 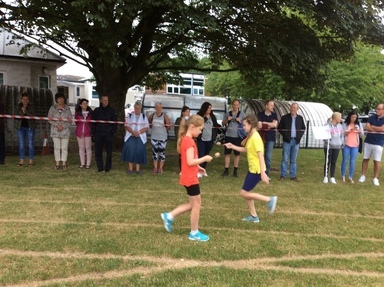 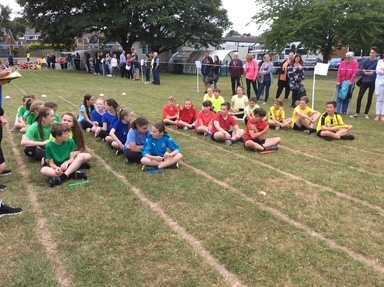 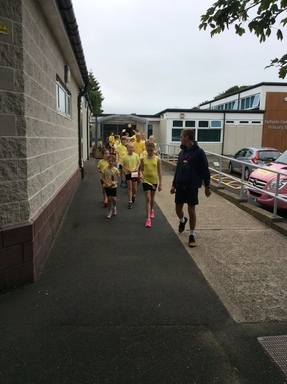 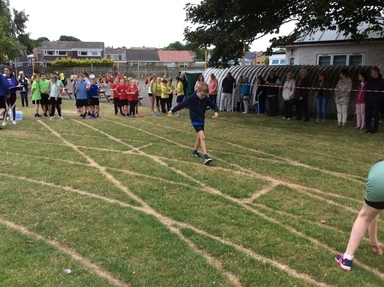 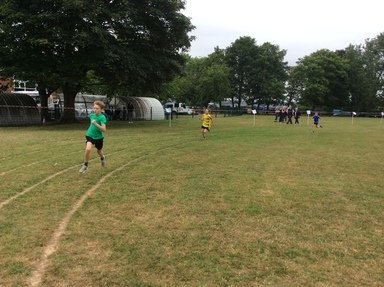 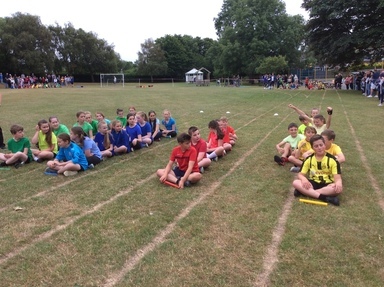 As so often happens though, the KS2 flat races changed all that and some impressive wins by representatives from Warkworth and Alnwick Houses in the long-distance runs and the sprints moved Lindisfarne rather dramatically down to fourth position by the end of the afternoon. 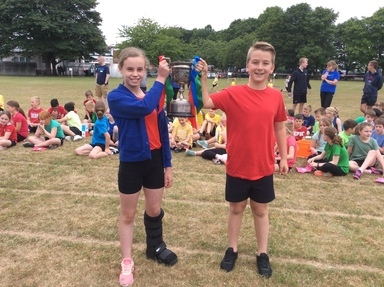 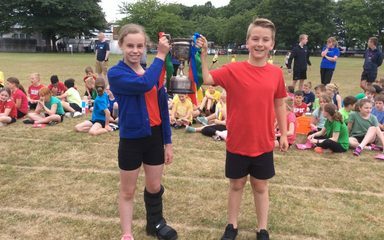 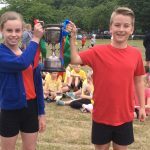 Leading all the way, however, was Bamburgh House so it was perhaps fitting that it was this team that raised the House Team Challenge Cup at the end of the afternoon. 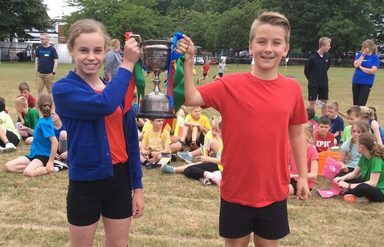 This trophy will now don the red ribbons of Bamburgh for the year until the House comes back in summer 2019 to defend their title. 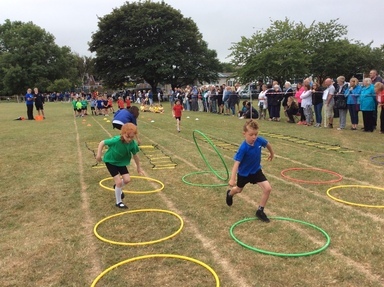 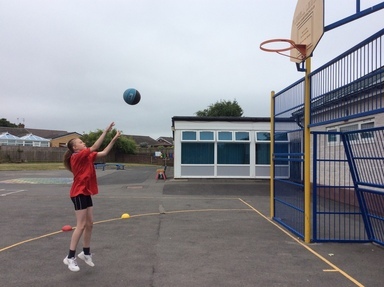 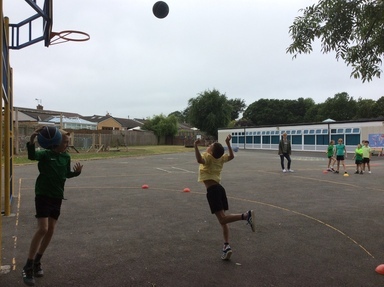 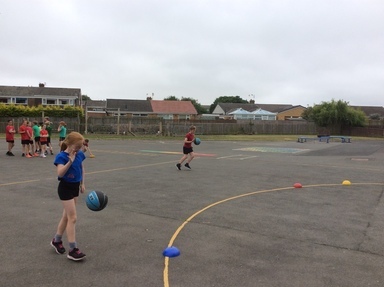 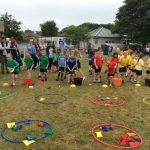 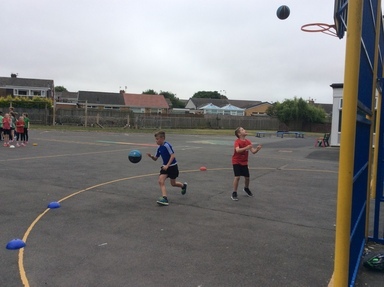 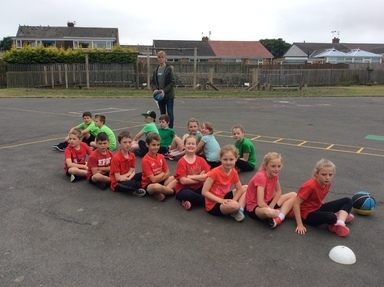 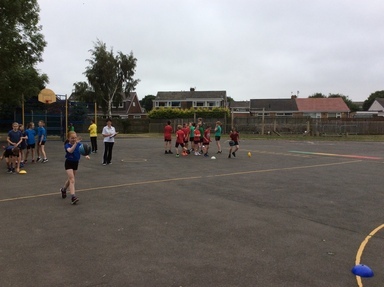 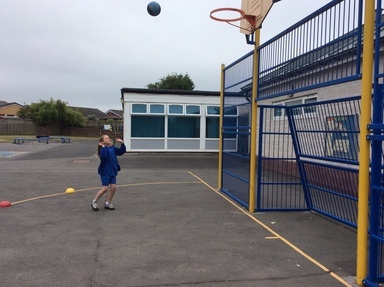 Competition aside, the children thoroughly enjoy the taking part and there’s always a strong spirit of camaraderie and sportsmanship which makes us very proud. 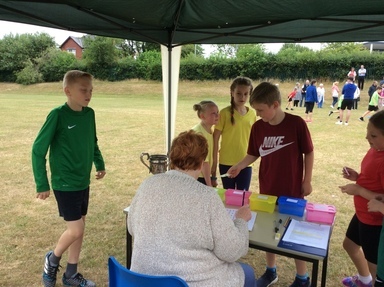 Clearly our parents, grandparents and other family members felt equally so, given the long line at the ice-cream van at 3.30pm when treats were being bought for many a tired athlete! 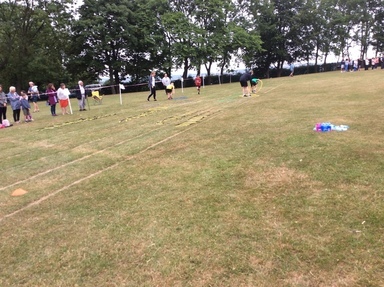 The event ran all the smoother for the many helpers who came along to support the children. 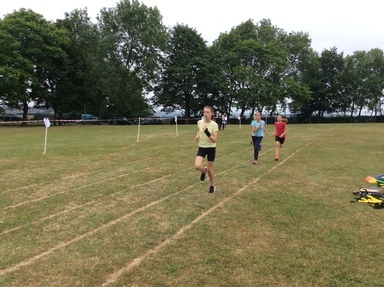 Sophie, Olivia, Ben and Jake all came from Whickham School to give a hand; likewise Taylor from RGS. 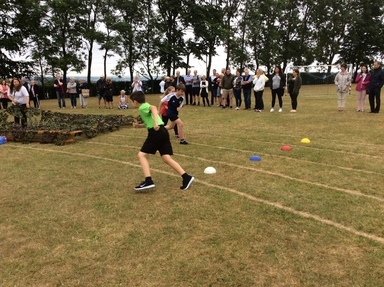 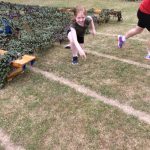 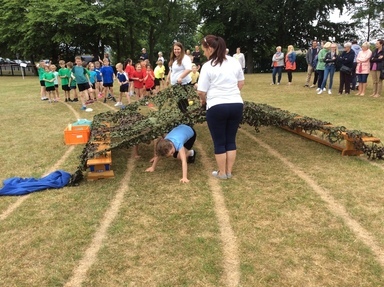 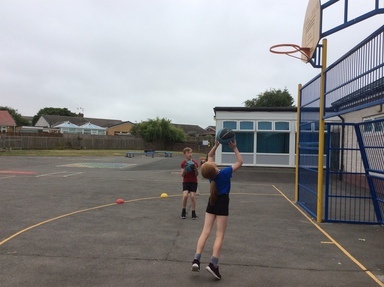 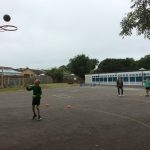 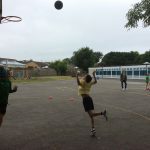 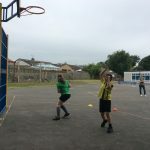 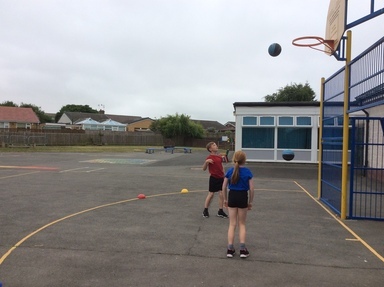 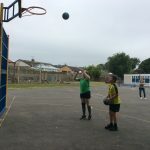 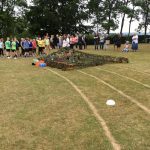 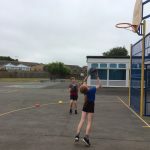 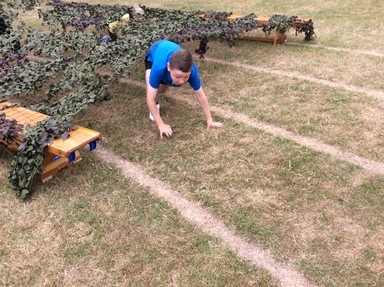 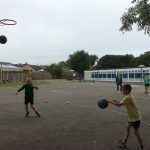 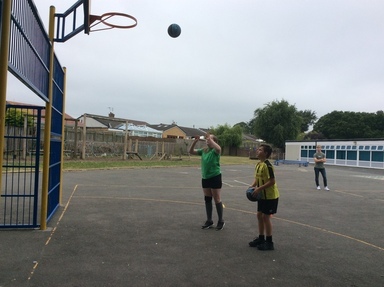 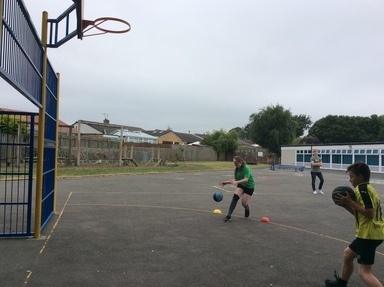 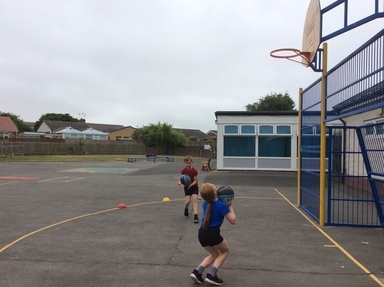 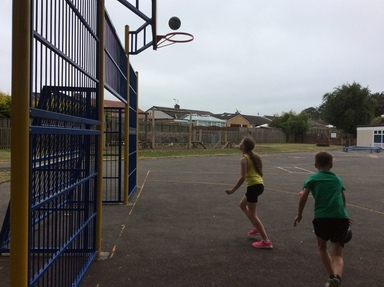 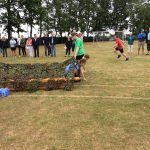 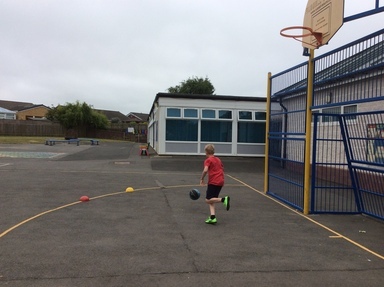 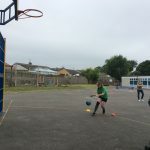 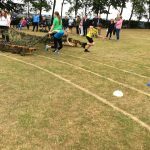 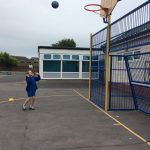 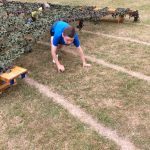 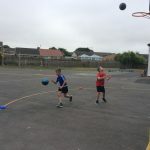 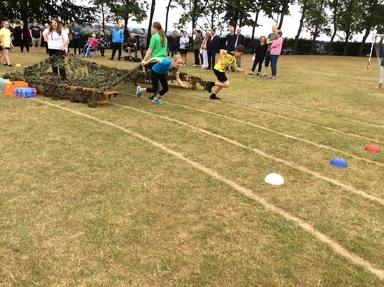 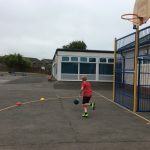 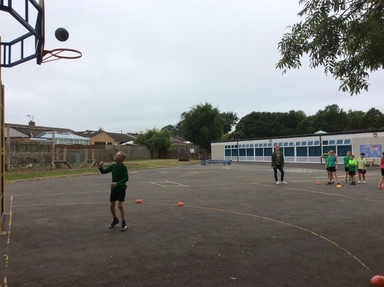 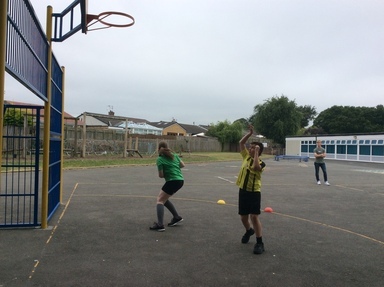 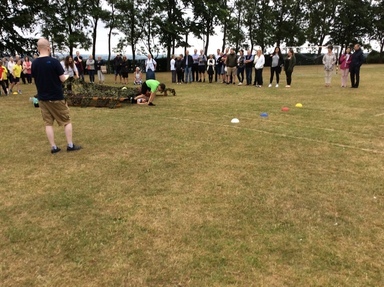 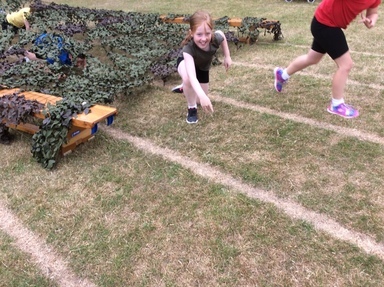 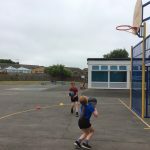 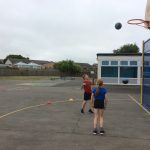 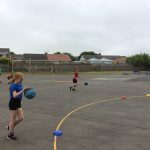 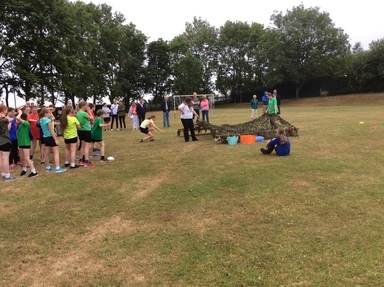 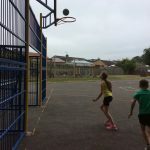 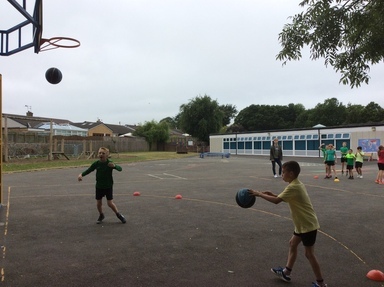 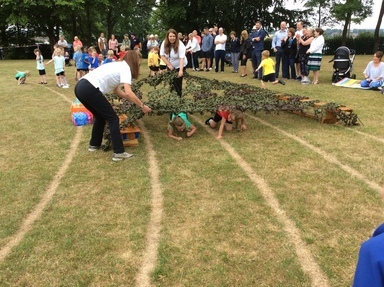 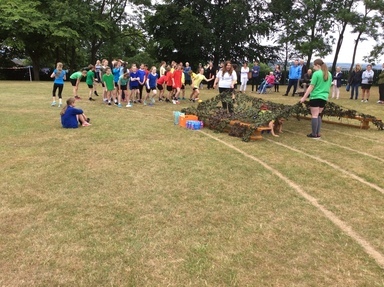 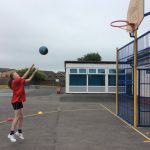 Mr Scott and Mrs Scott proved a formidable team on the Commando Net; Ben ably assisted Miss Watson on the hurdles and Megan and Ben H took full control of the ‘Up and Over’ event. 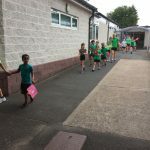 We thank them all for their generosity in helping us. 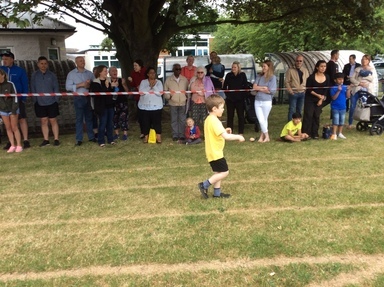 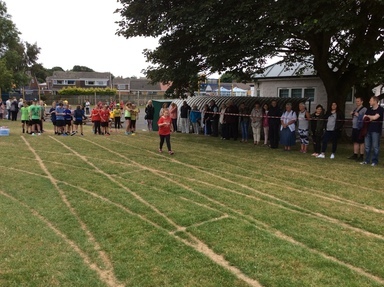 Thanks also go to the many spectators who came along to cheer the children on. 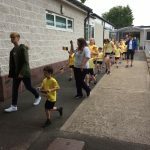 We hope you enjoy these photographic memories of the day. 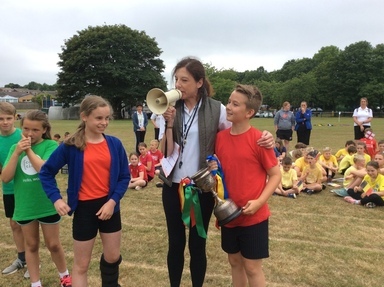 Congratulations to all our Houses and their House Captains. 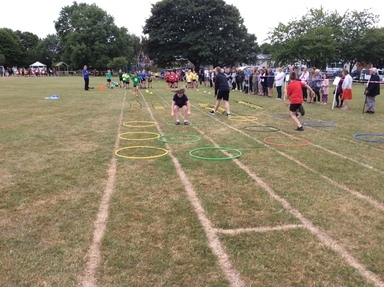 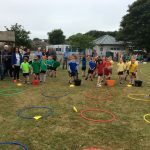 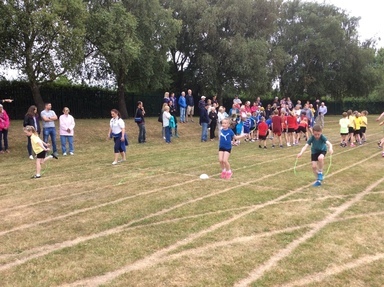 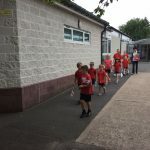 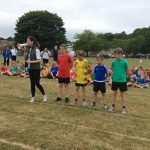 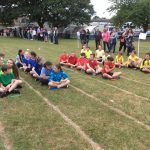 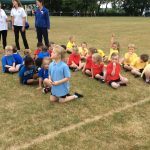 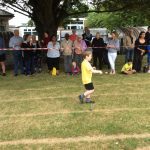 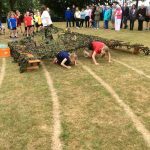 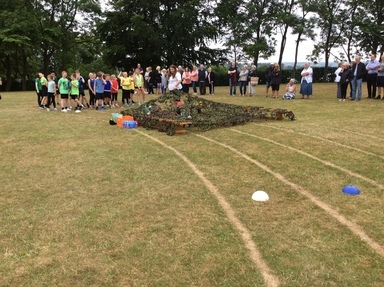 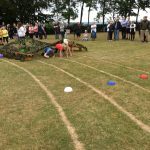 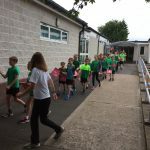 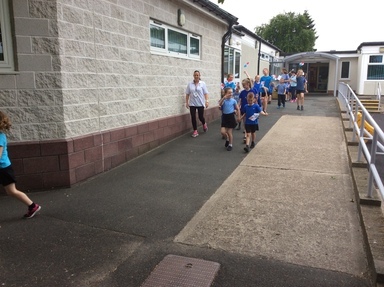 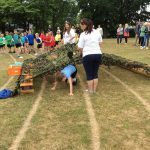 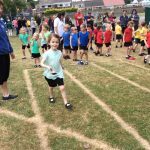 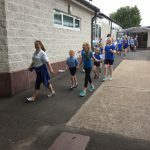 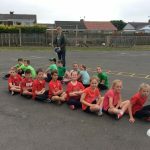 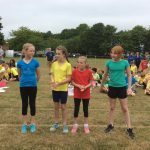 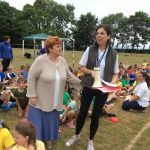 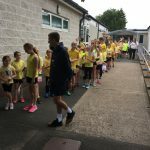 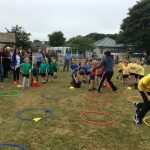 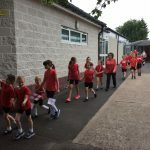 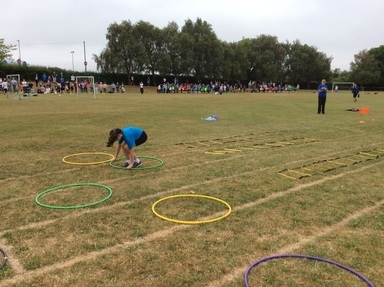 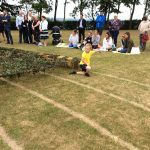 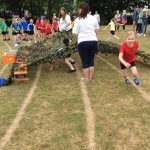 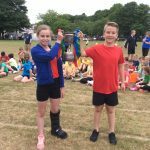 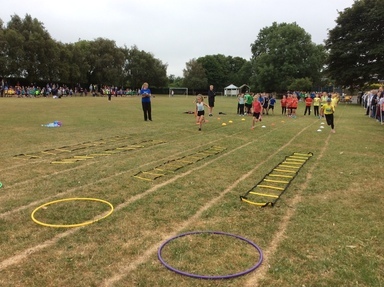 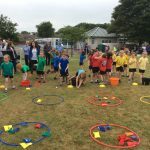 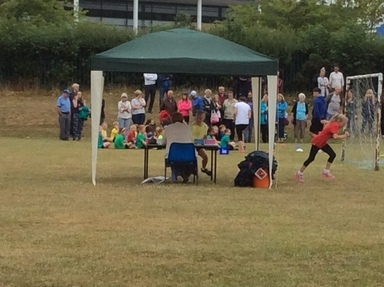 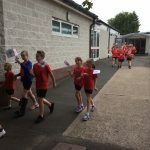 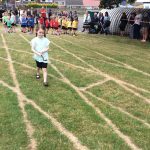 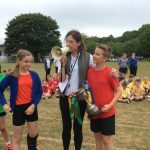 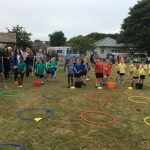 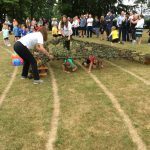 Well done to all the children at Sports Day. 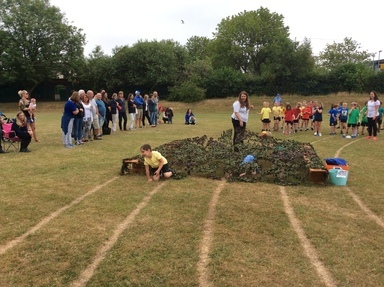 They all gave 100% and I could hear lots of praise for not just their own houses but other houses as well. 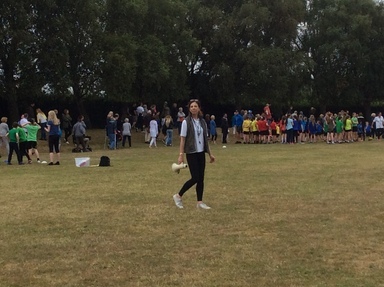 This was my last Sports Day so it was a little bit emotional.